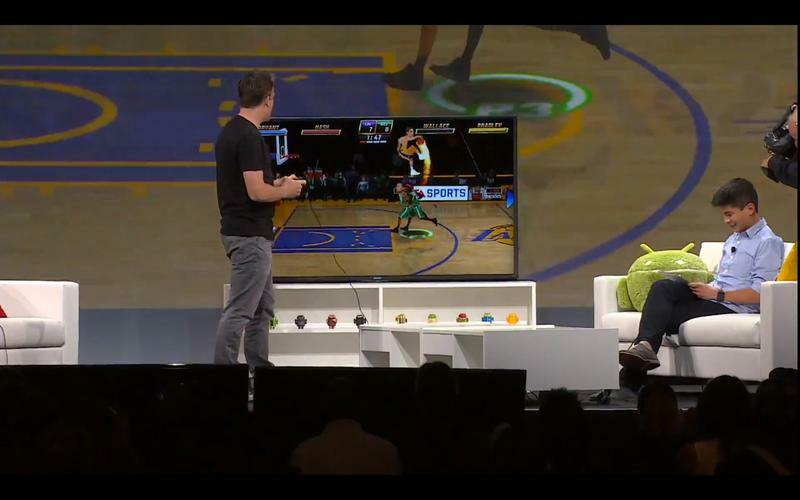 Google just held an epic-long press conference, which kicked off Google I/O 2014 and covered everything from Android to Chrome OS and even Android TV. 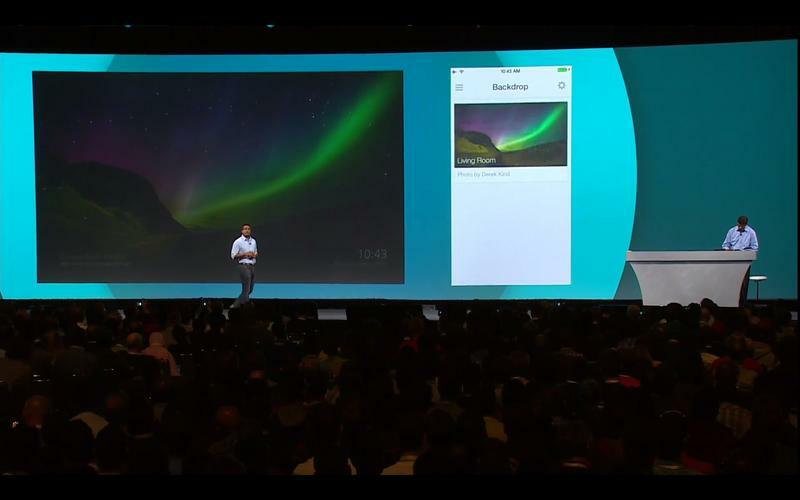 There were some major announcements during the event, and we’ll save you the time of having to dig through all of the hoopla. 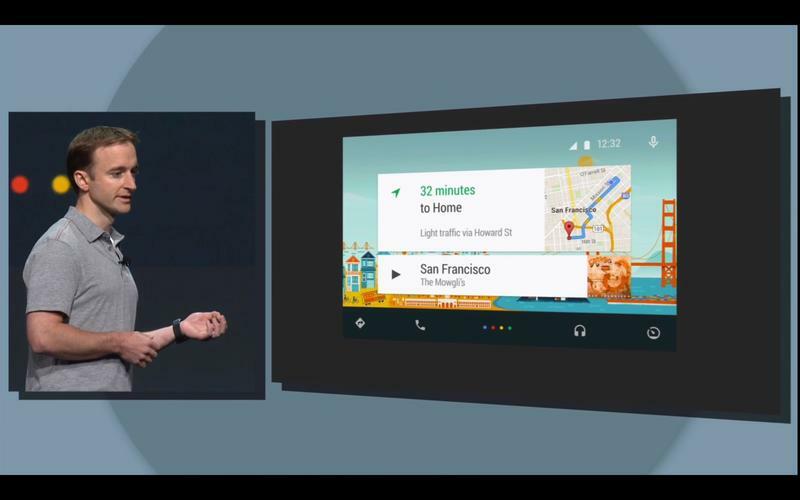 Here are the major stories you need to know about, and how Google plans to reach you in every aspect of your live, from notifications on your wrist, to Android integration on your Chromebook and even Android in the car. 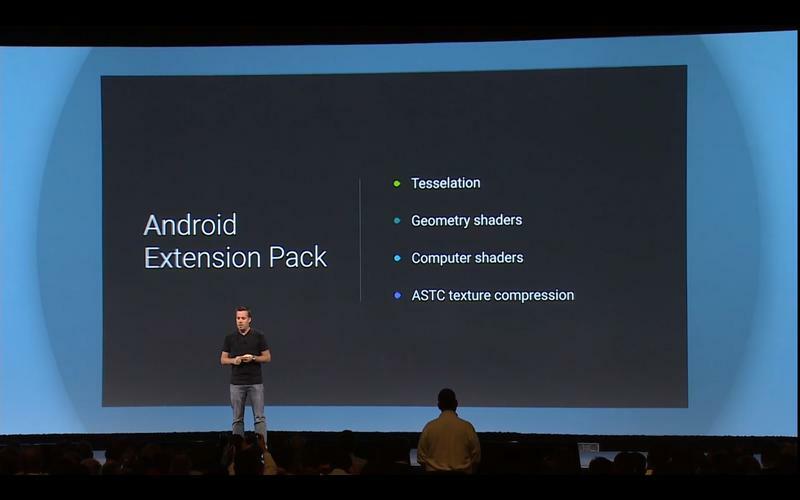 Yep, it’s a world of Android. 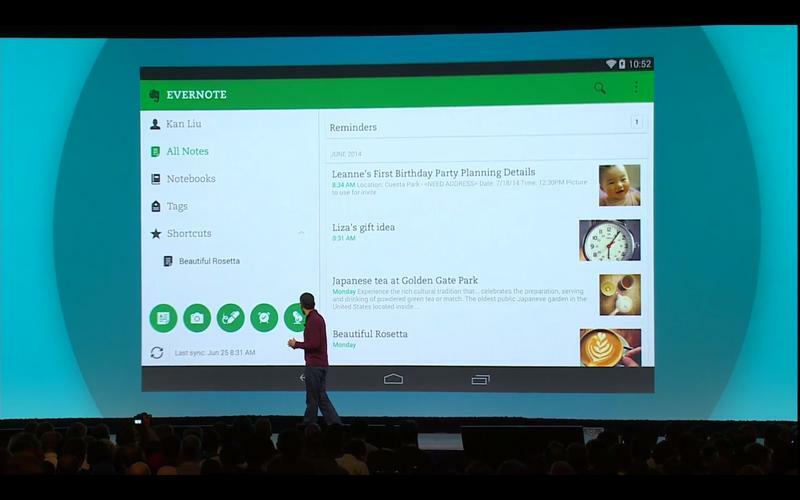 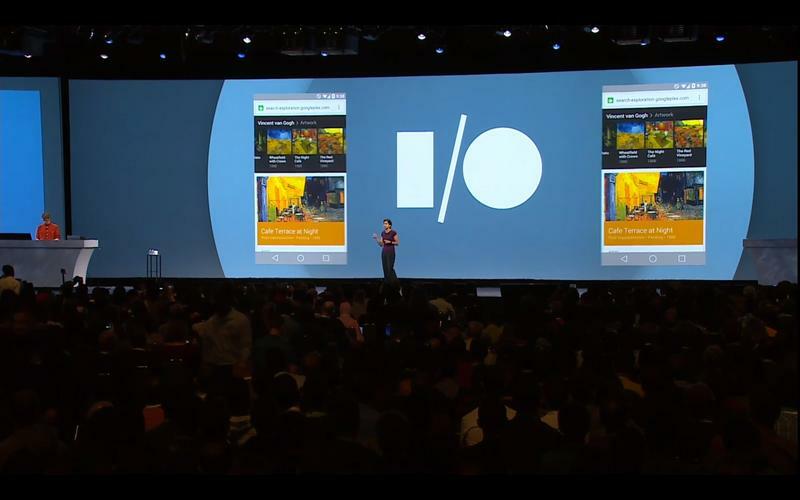 One of the biggest announcements during Google I/O wasn’t expected until last minute, and that was the introduction of Android L. Google didn’t give us the final name for it just yet, which might be Lollipop, but did say that the developer preview will be available for the Nexus 5 and Nexus 7 tomorrow, while a full launch is scheduled this fall. 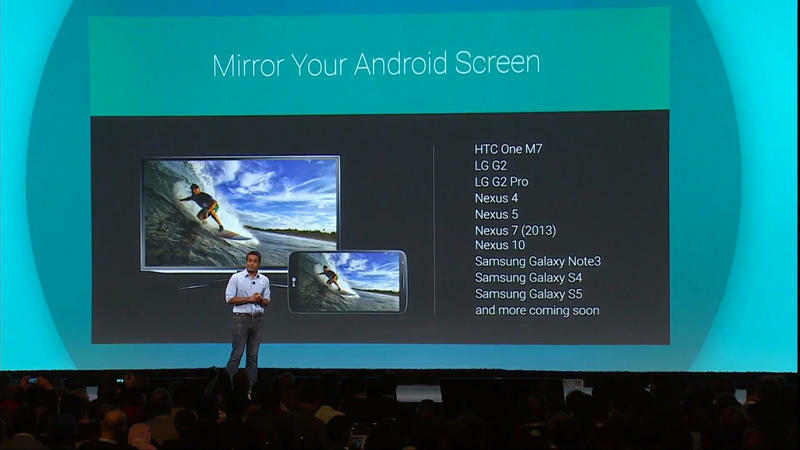 HTC One (M8) and One (M7) owners will get the update. 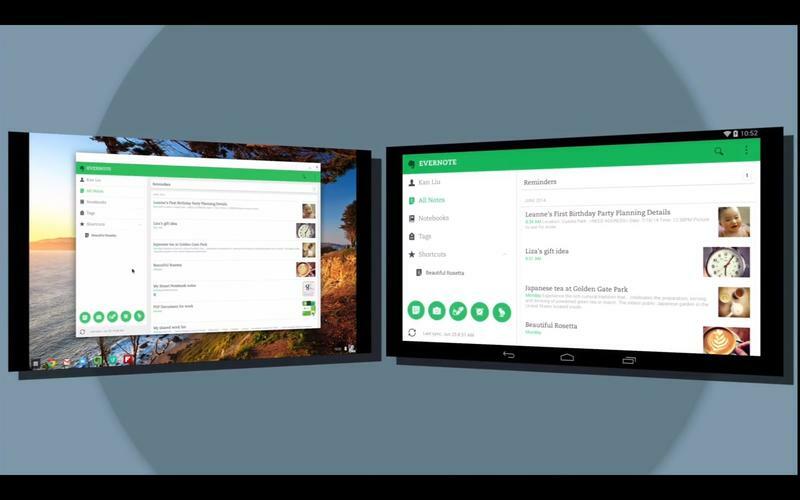 So what is Android L? 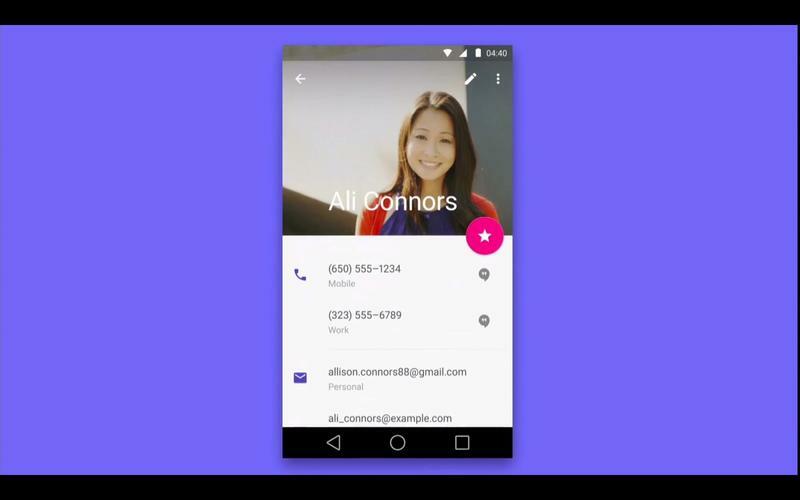 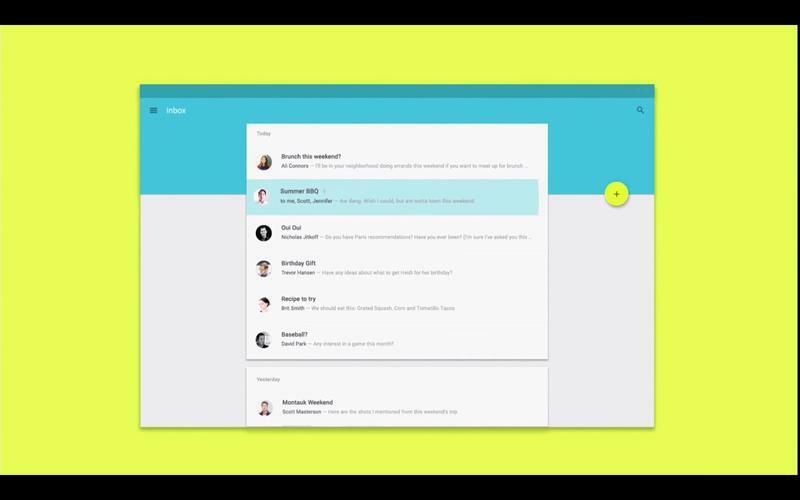 Google only offered a brief preview but said that Android L will offer a “radical new redesign” and showed us some new apps, like Gmail, the dialer and more that have more unified designs. 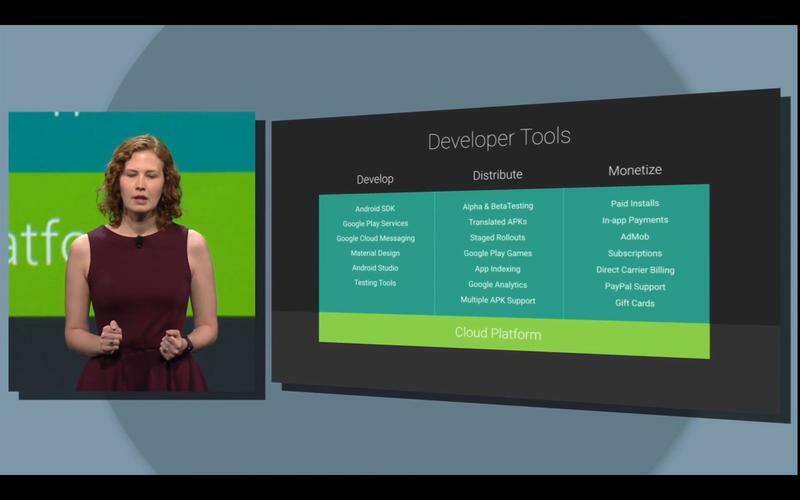 Also, Google will make new API tools available to developers, in addition to style guidelines, so that all Android apps look consistent with one another. 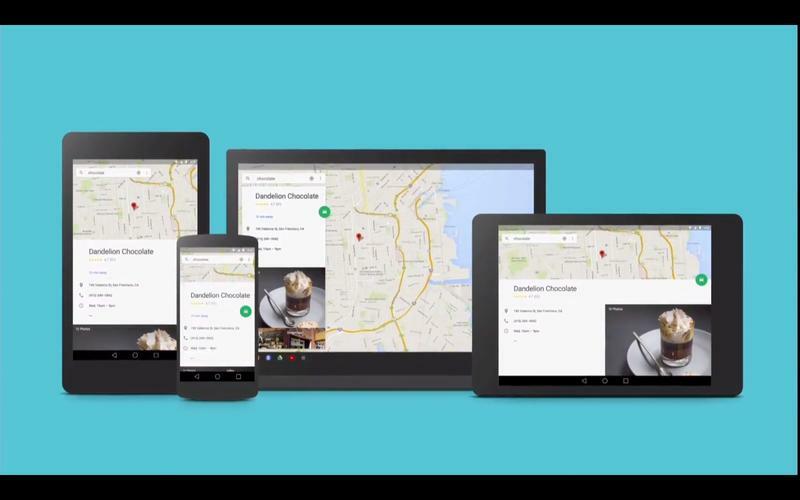 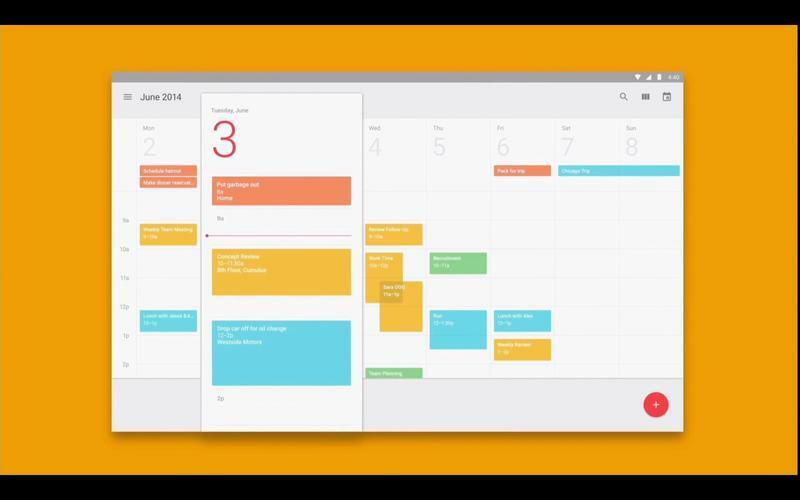 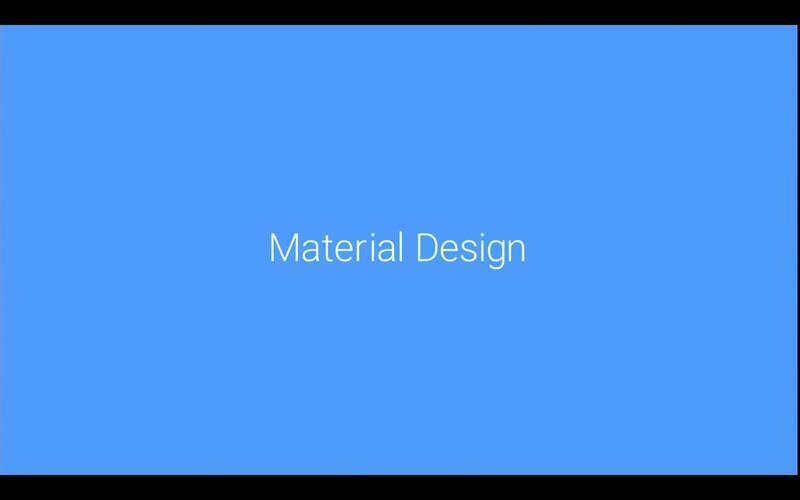 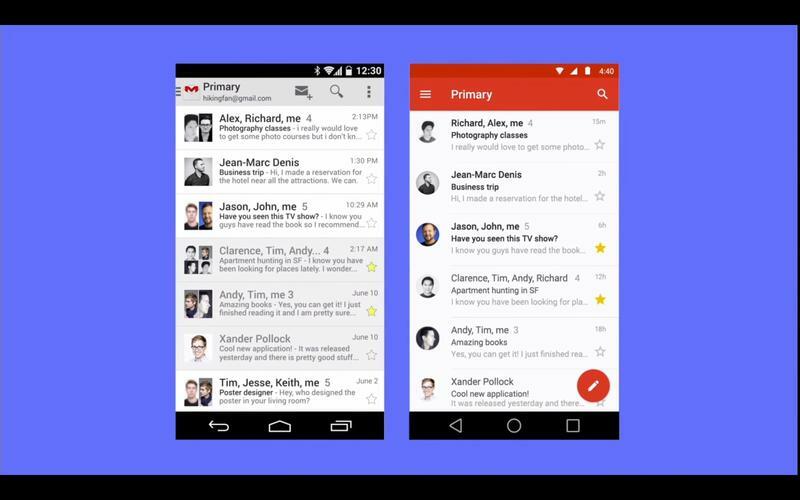 A lot of emphasis was placed on what’s called “material design,” which adds a new dimension to applications. 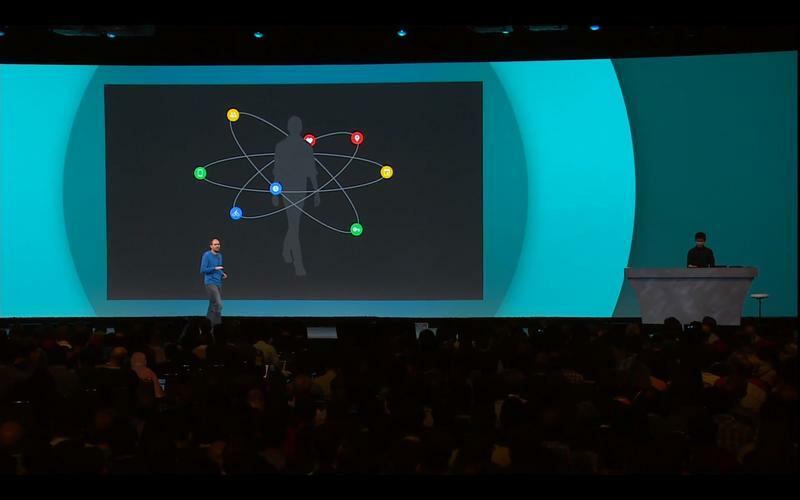 That means that parts of an app can hover above other aspects, providing a “floating” effect in some instances. 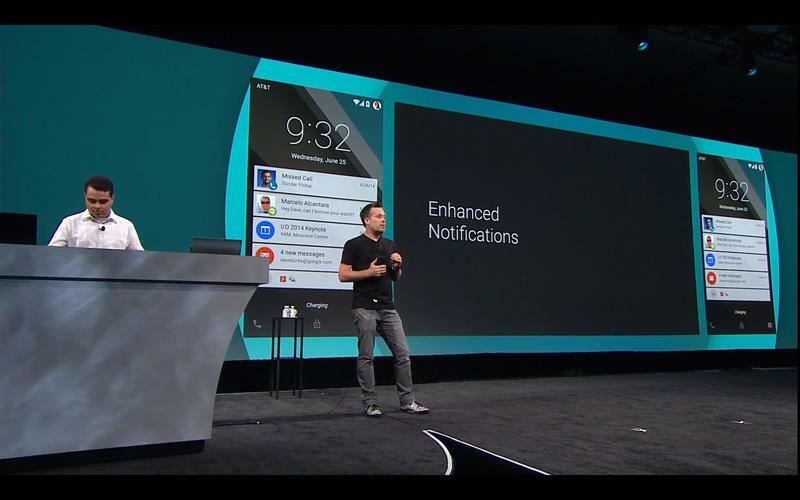 There are also new notifications, including “heads up notifications,” that can be swiped away easily while you’re inside other applications. 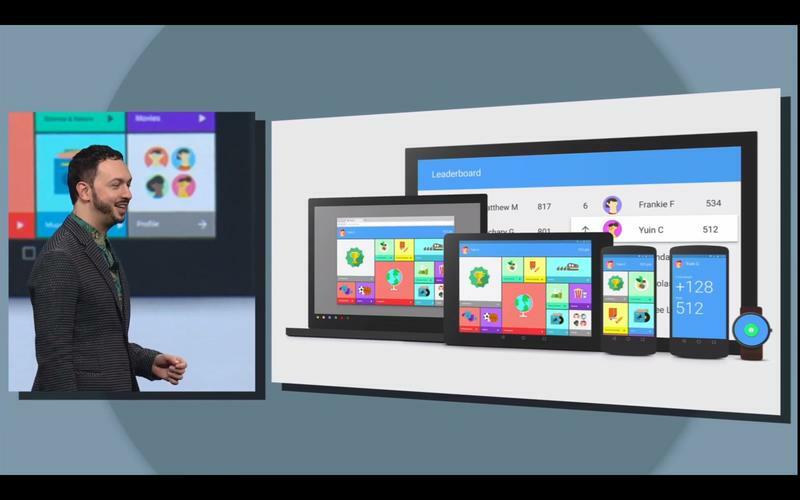 Android L will also make it easier for folks to run work apps in one instance and personal apps in another, separating the two entirely. 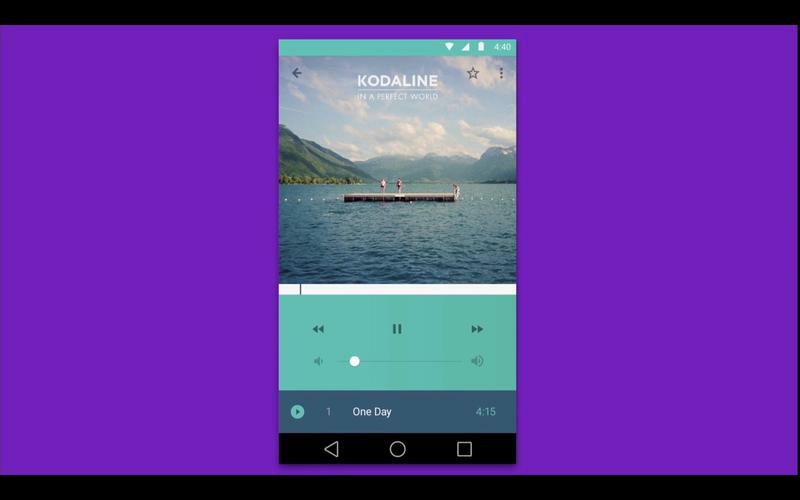 We have a lot to look forward to with Android L, and we’ll be covering it as much as possible leading up to the full consumer launch this fall. 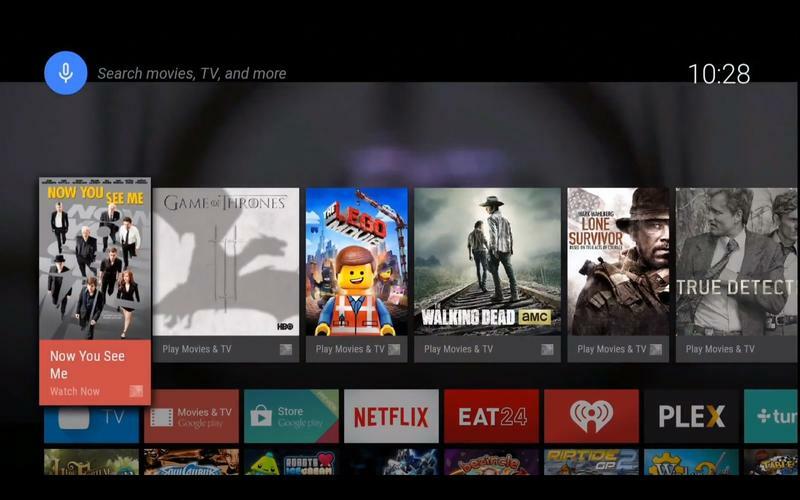 Android TV was announced as a new smart platform for TVs and set-top boxes, though Google did not reveal any hardware of its own, which means it won’t be going toe-to-toe with products like the Amazon Fire TV, Roku, and other products head-to-head. 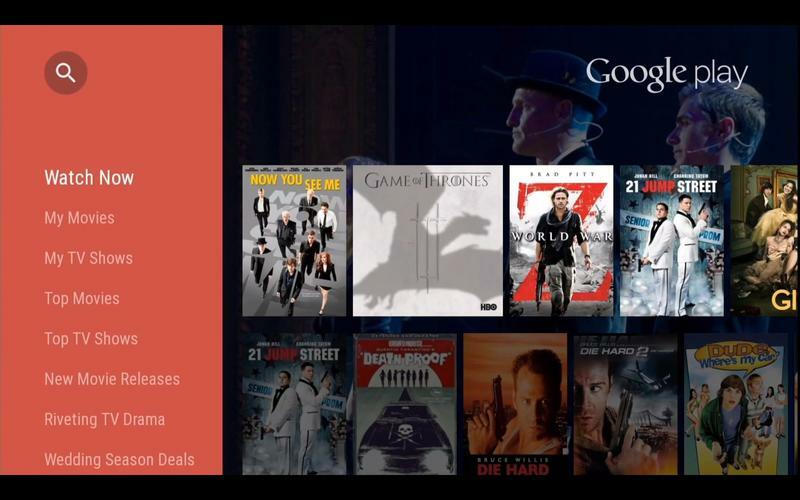 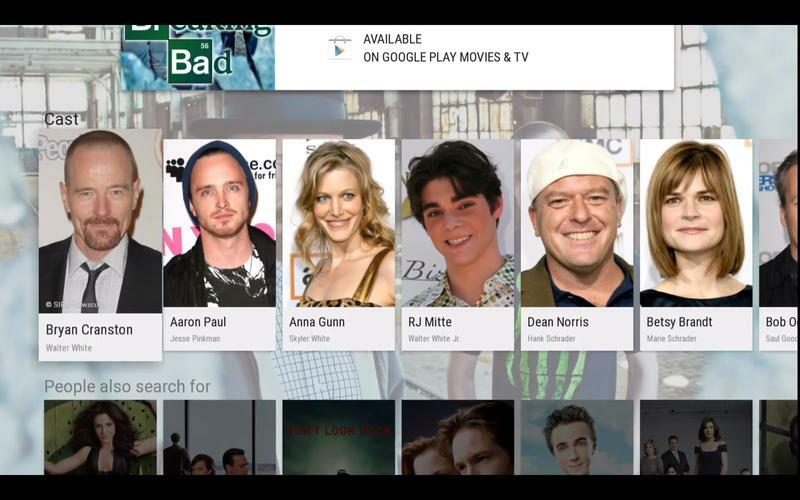 Android TV has a lot of awesome features, like the ability to play games on one device that acts as a controller, access a full selection of Google Play Movie and TV content, access to Google Music and so much more. 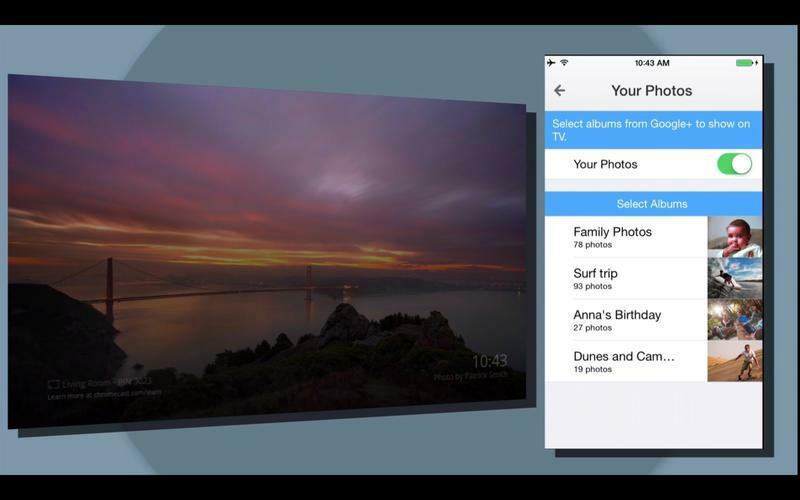 It also allows you to “Google Cast” content from your smartphone or tablet to the TV without the need for a standalone Chromecast device, which essentially means that the Chromecast tech, and more, is baked right in. 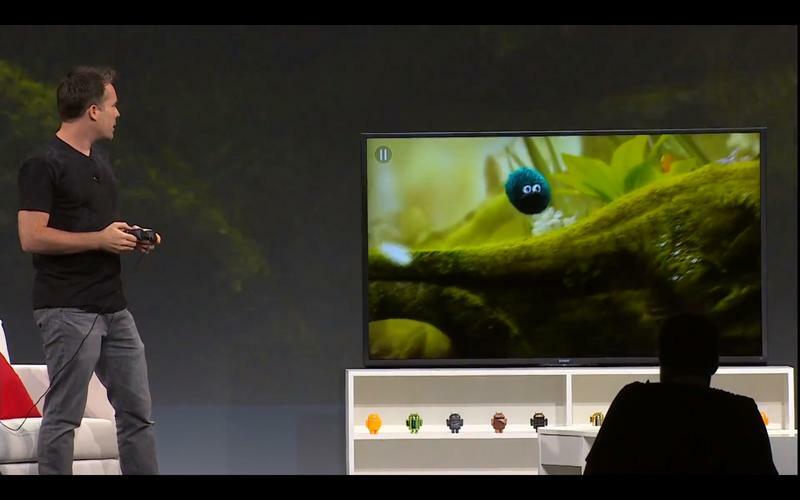 Sony’s 2014 family of 4K smart TVs will launch with Android TV built-in, as well new television sets from Philips, TPVision and Sharp next year. 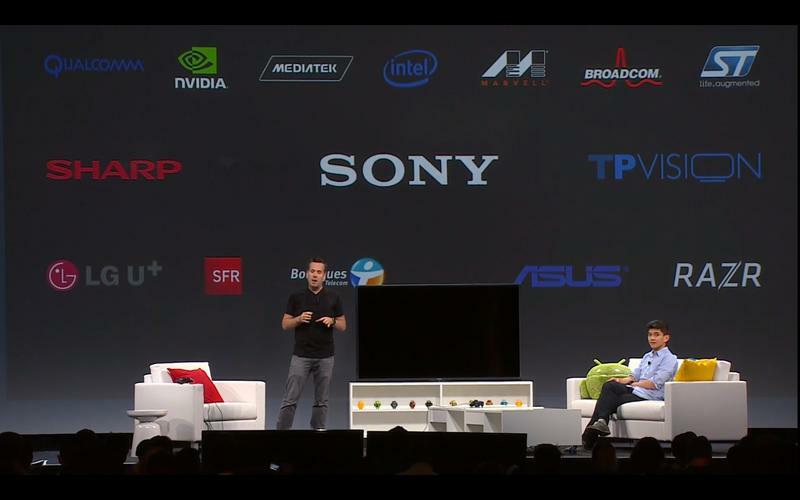 Asus and Razr will also launch set-top boxes with Android TV pre-loaded this fall. 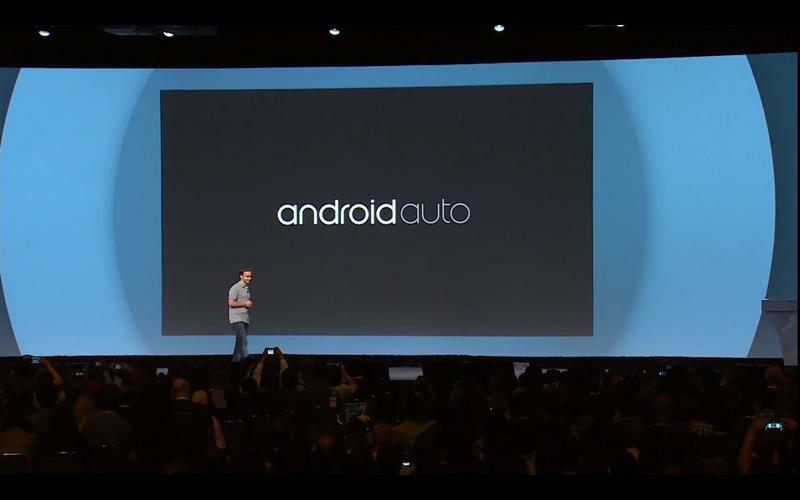 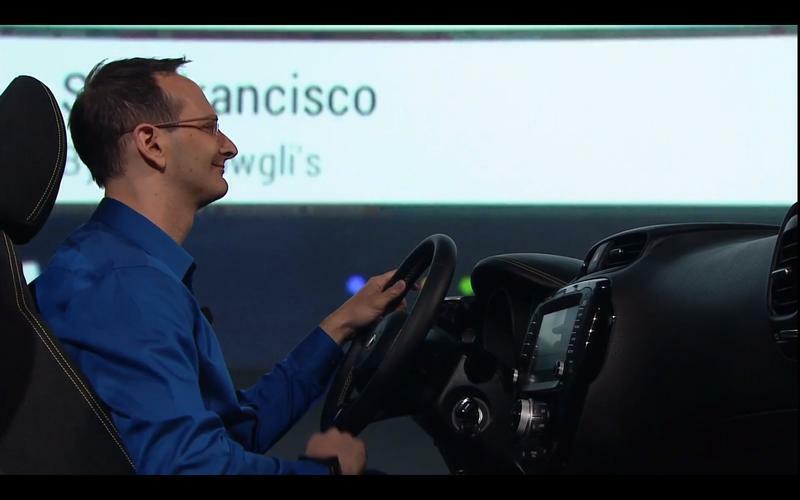 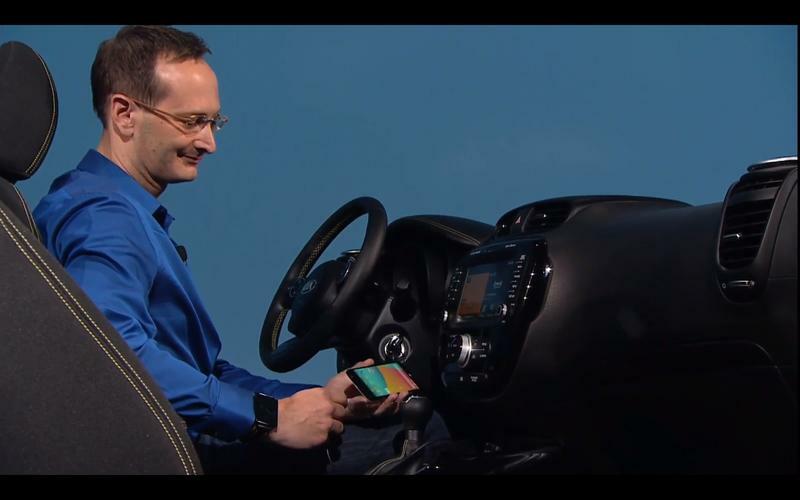 Android Auto was revealed as Google’s direct take on Apple Car Play. 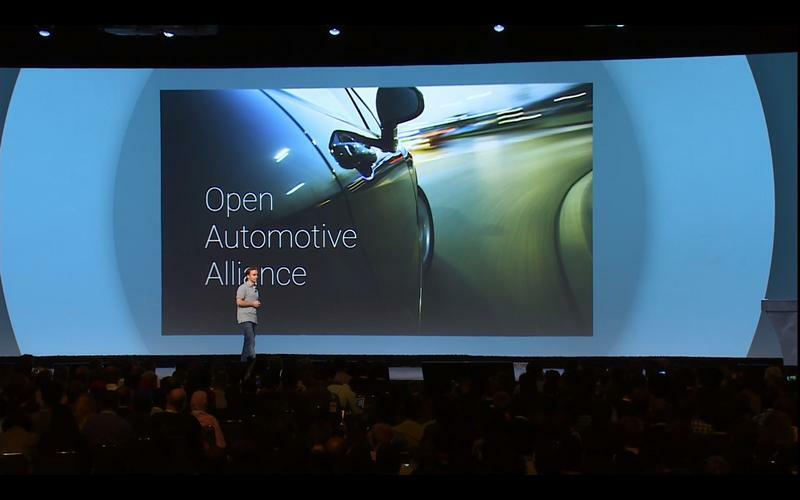 It is working with 50 partners and 25 auto brands, some of which will release brand new cars with Android Autosupport by the end of this year. 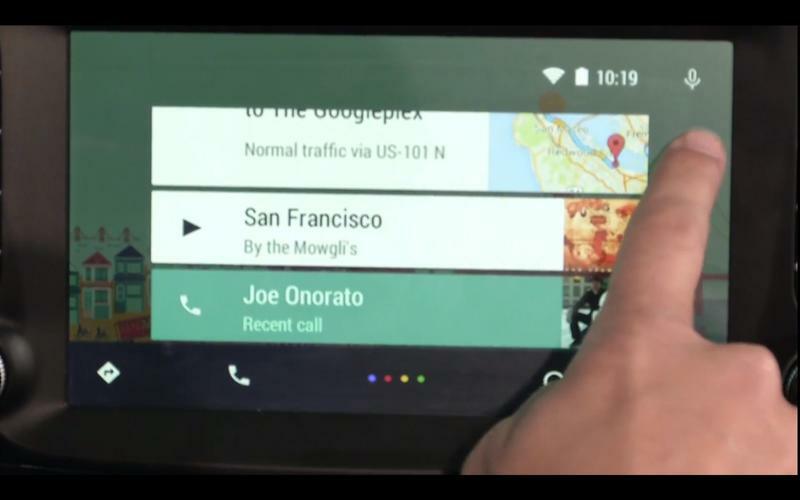 Android Auto is entirely powered by the Android L device in your pocket, and it allows you to use voice commands to search for points of interest, interact with the map, play music from Google Play Music, access third-party applications and more. 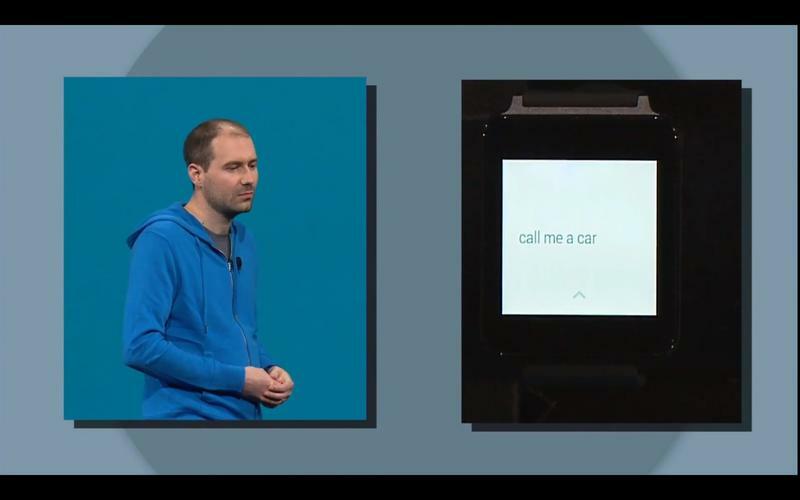 It’s essentially Android totally revamped for your car console instead of for a phone, and a new SDK will allow developers to keep adding value to the platform in the future. 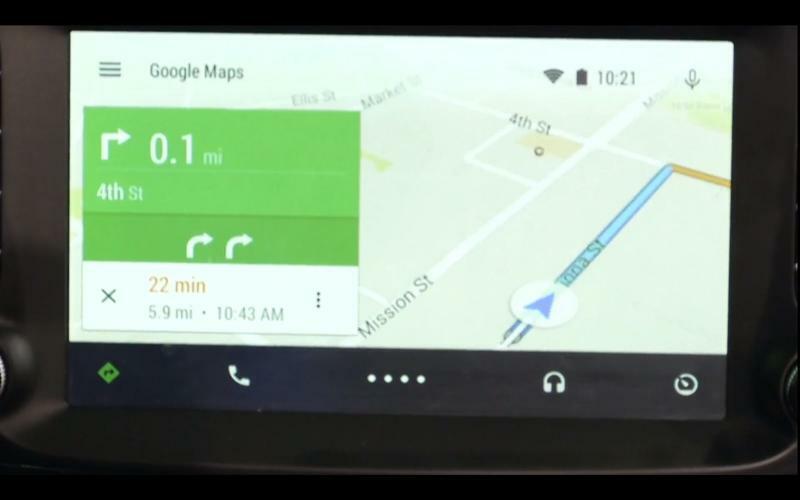 We have hands-on coverage of Android Auto coming soon, so you’ll find out how it stacks up against the competition shortly. 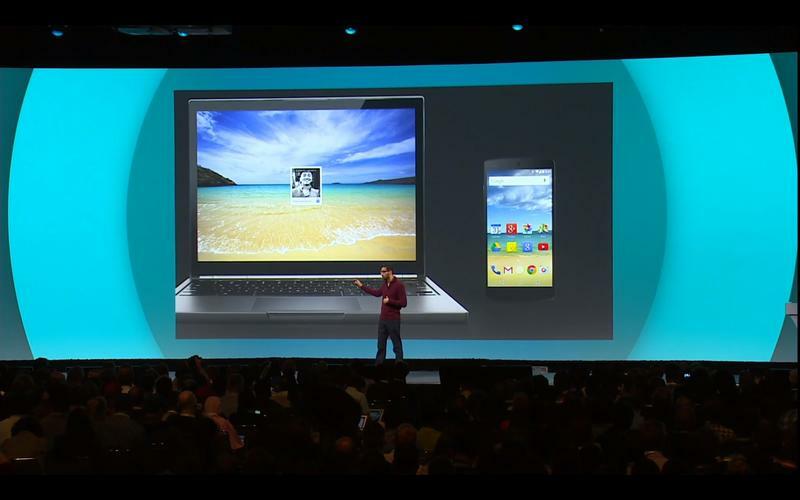 Chromebooks are solid devices that provide you quick access to Google’s services through Chrome OS, which is basically a Chrome web browser attached to a laptop. 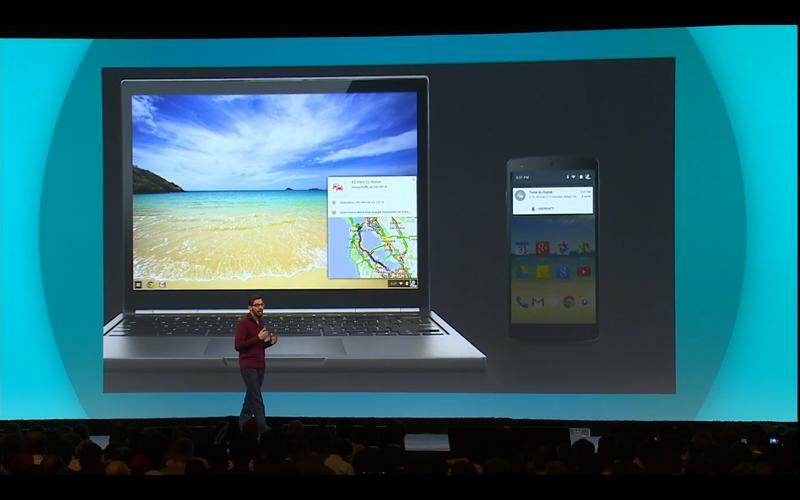 Chromebooks will soon get even more powerful, however, thanks to new features introduced on Wednesday. 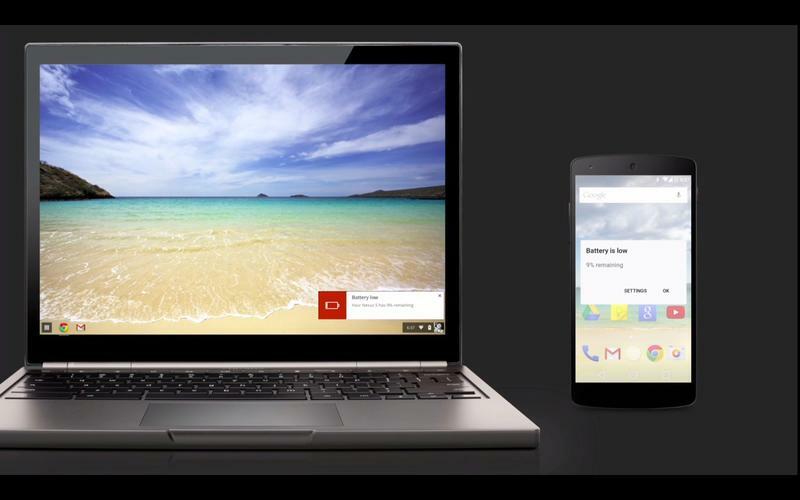 For one, you’ll soon be able to unlock your Chromebook simply by being near your Android smartphone, which alleviates the name for passwords or a lock code. 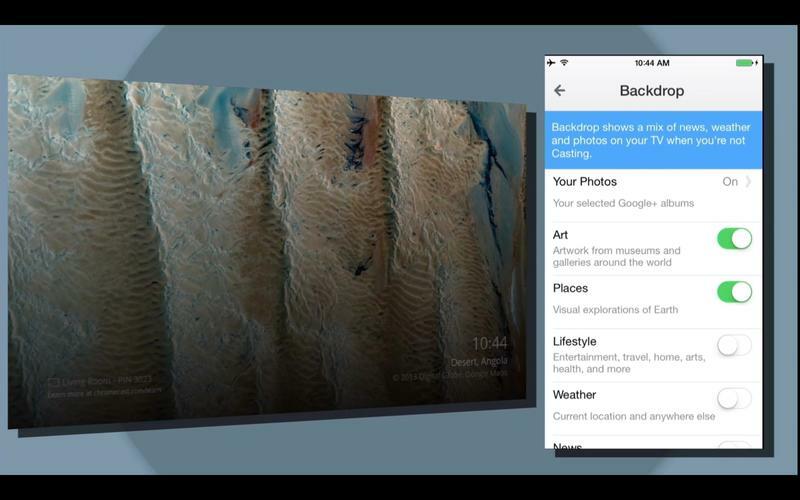 Also, it Chromebooks will have much tighter integration with your Android smartphone, which means you’ll be able to view things like your phone’s battery life, notifications, messages and more. 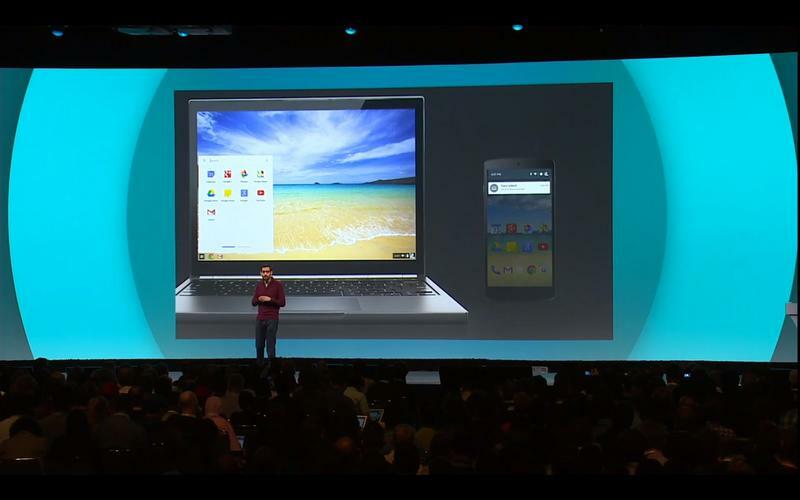 That’s not all, Google even said it’s in the early stages of adding Android app support to Chromebooks, which means that more applications than ever may soon be available to the affordable notebooks. 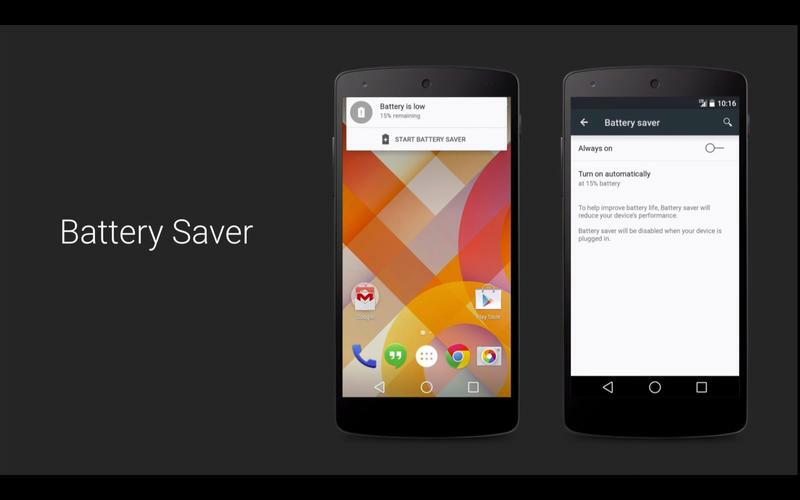 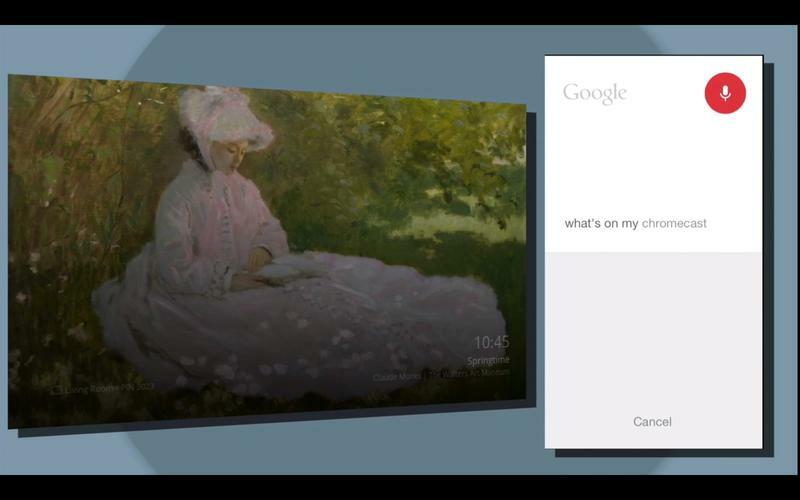 That’s truly compelling, but unfortunately Google didn’t say exactly when this support will be widely available. 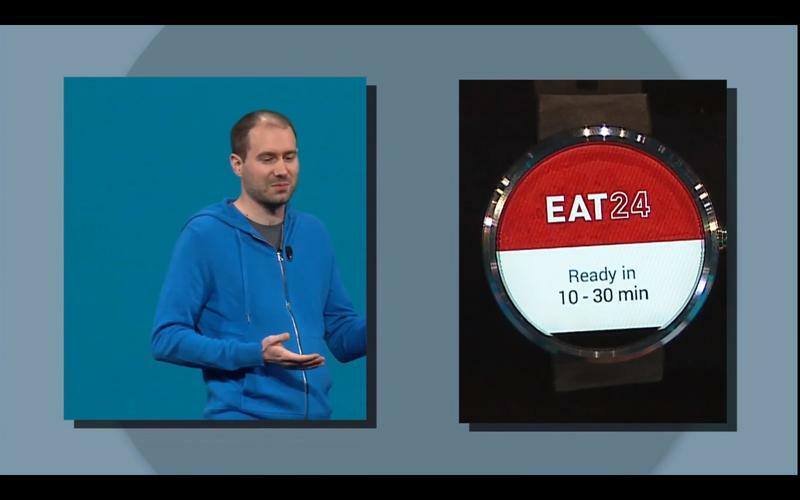 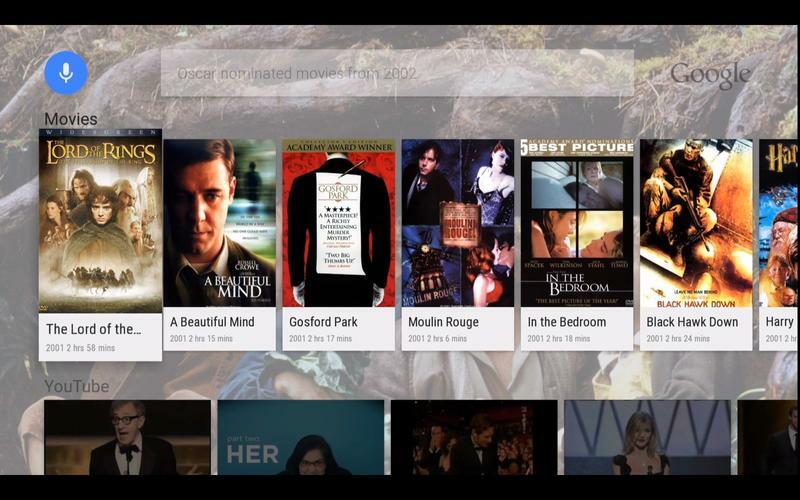 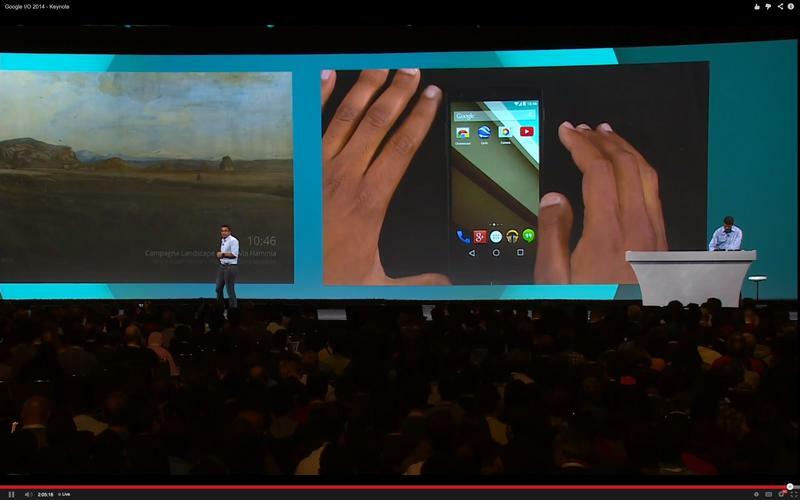 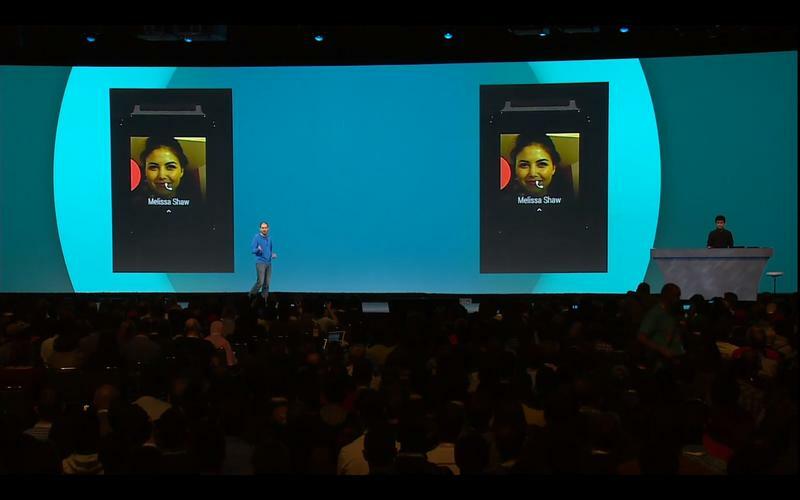 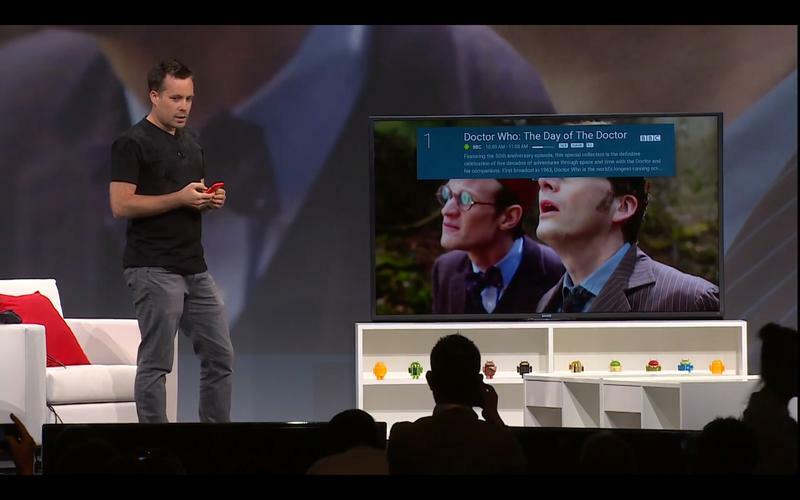 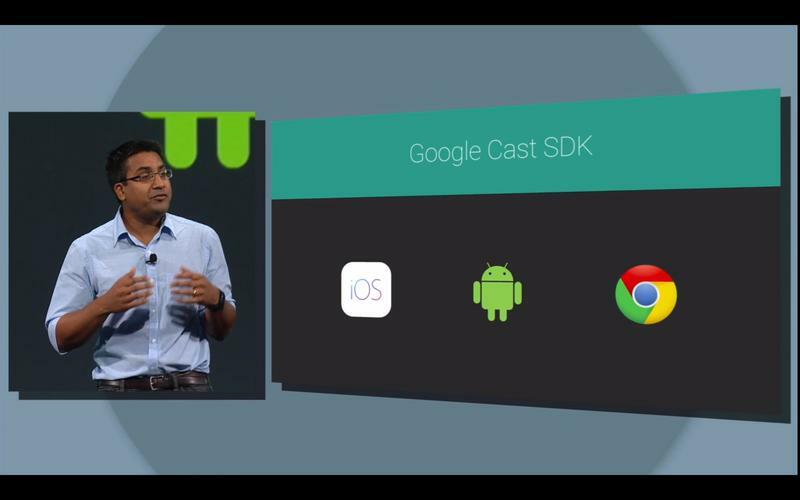 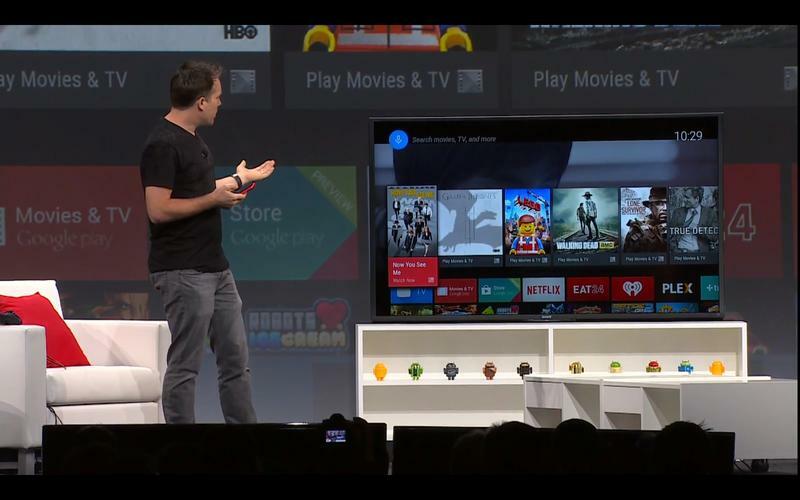 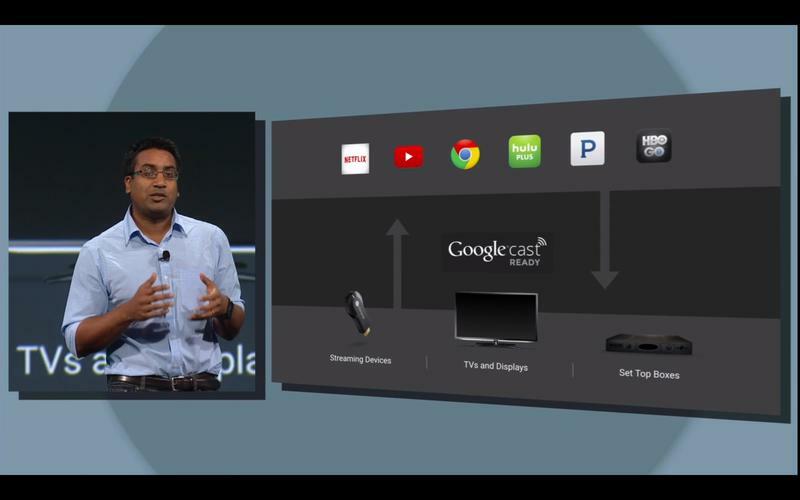 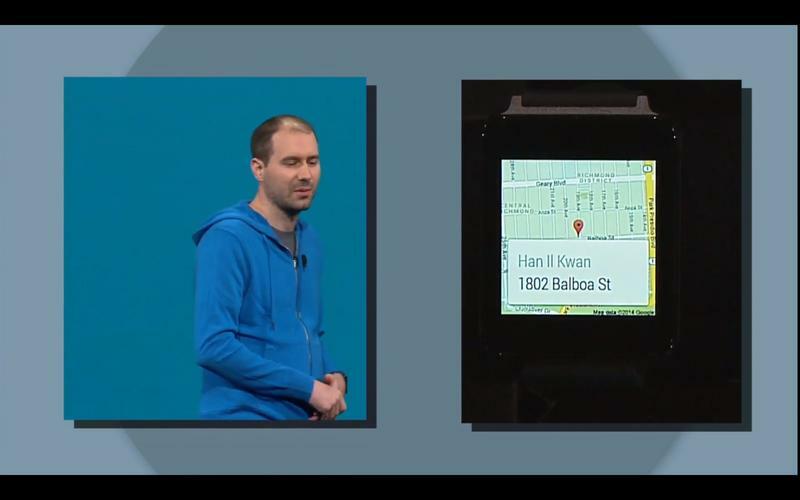 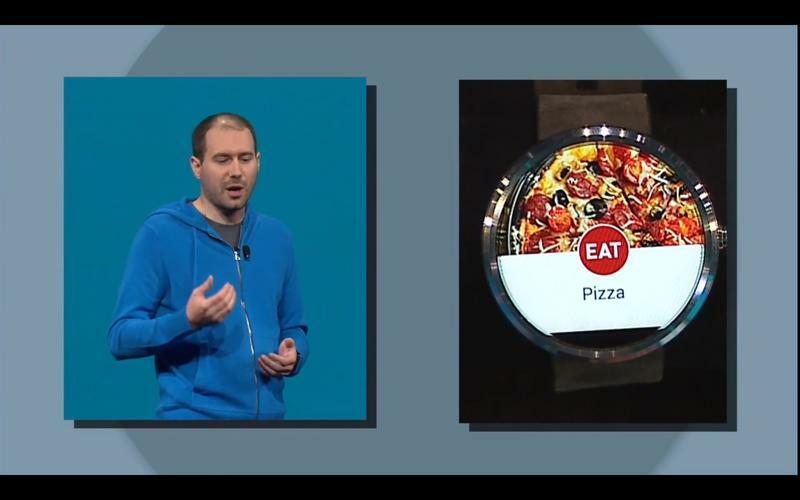 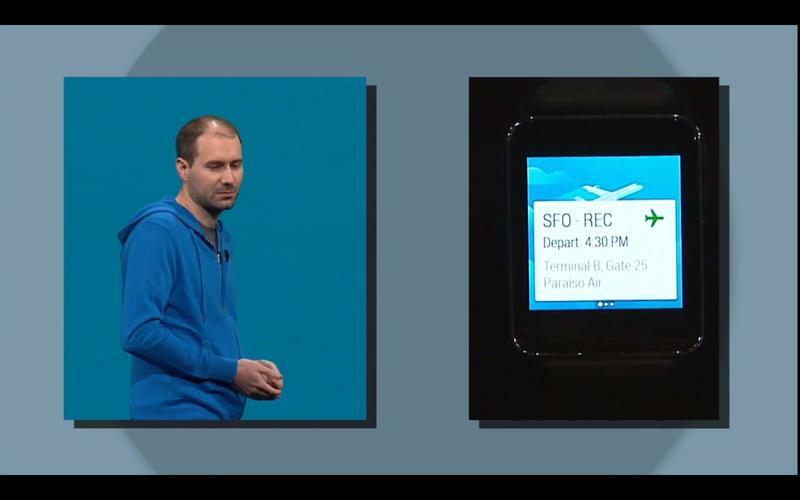 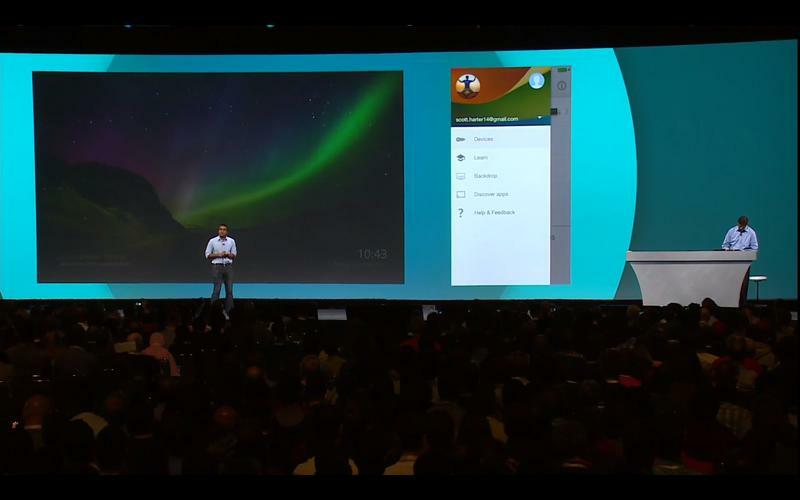 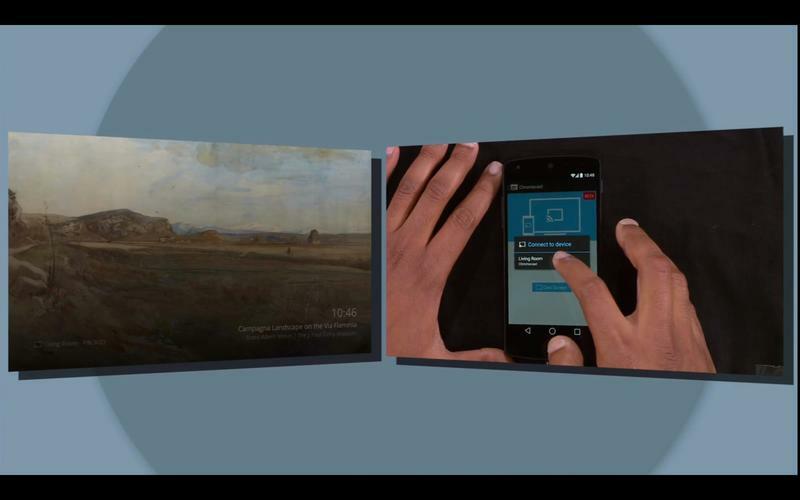 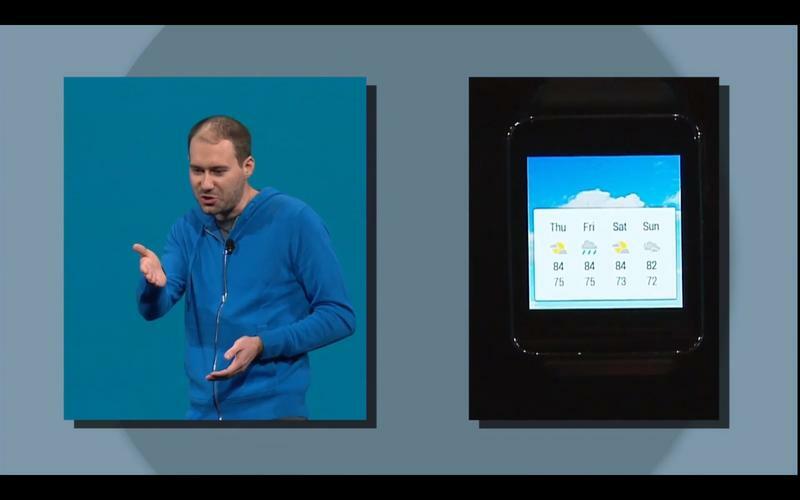 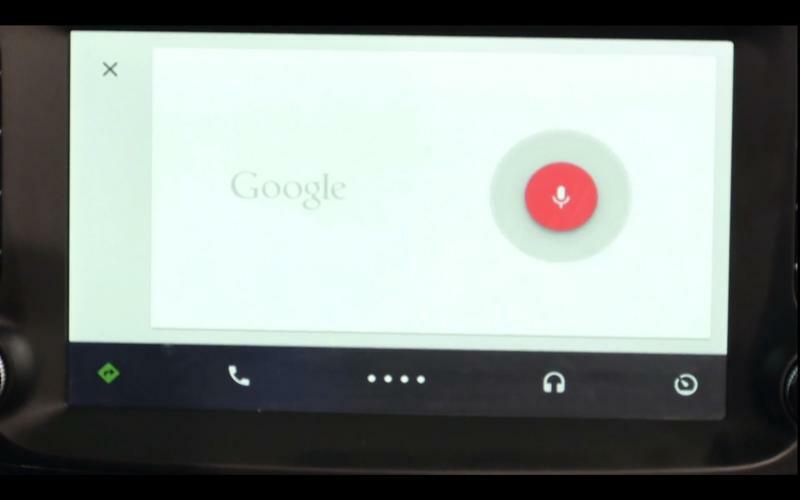 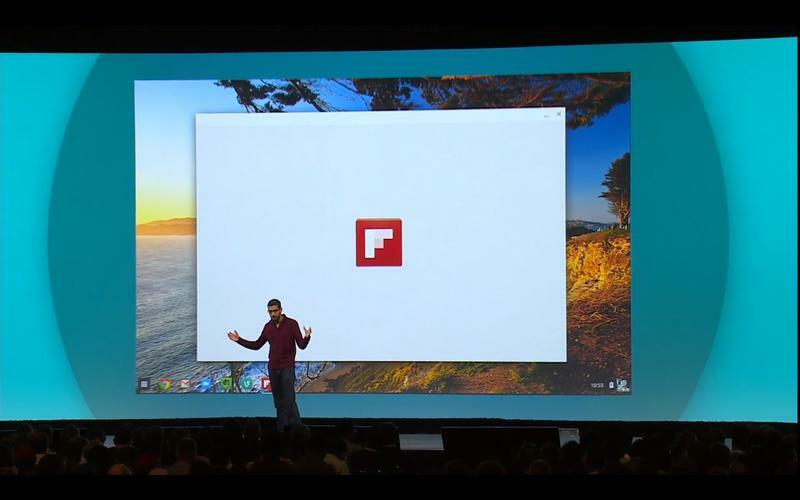 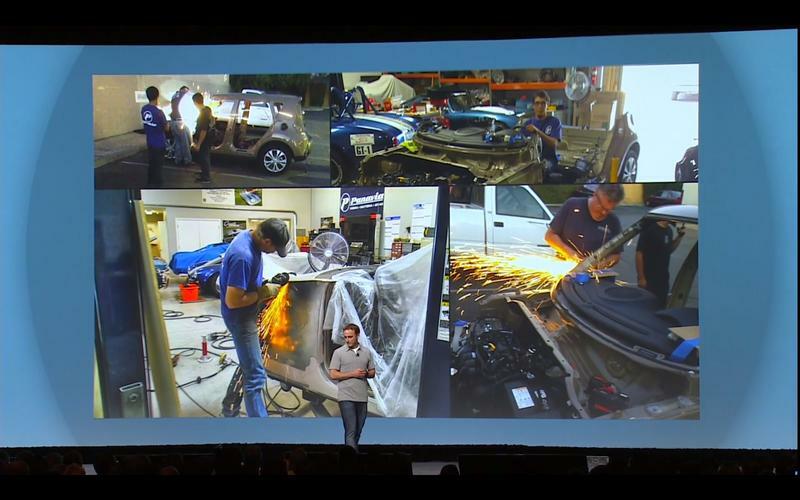 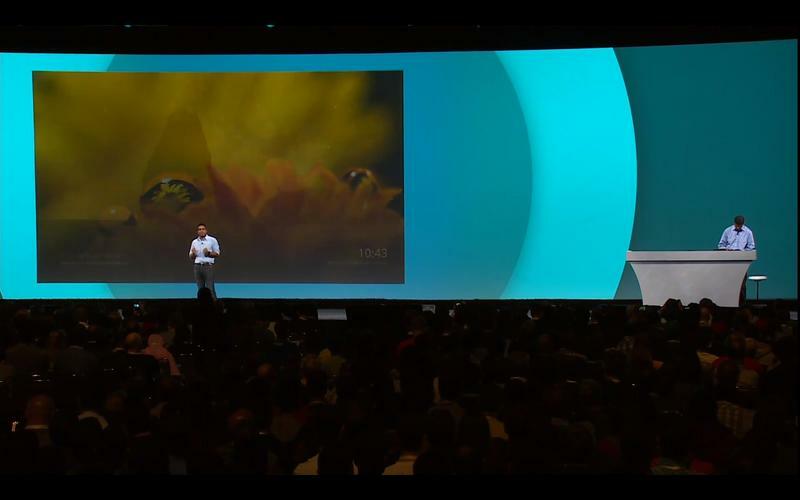 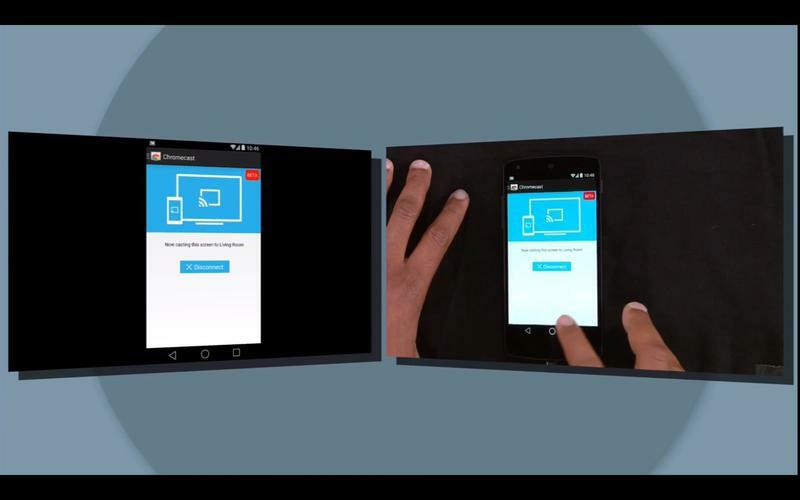 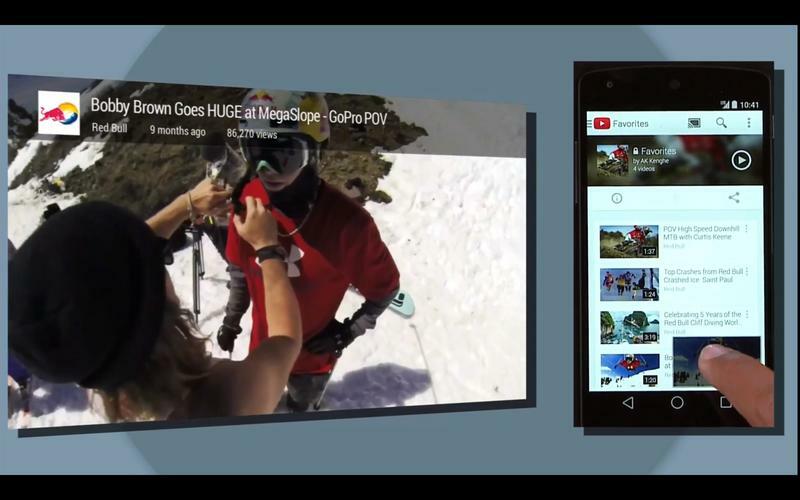 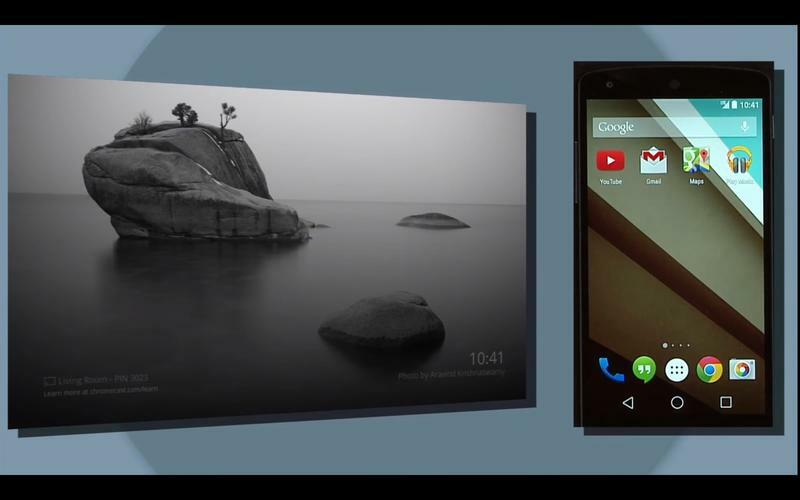 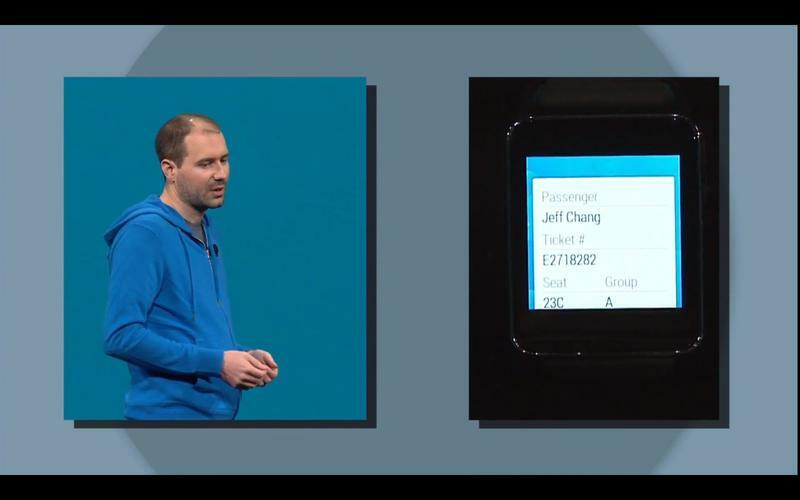 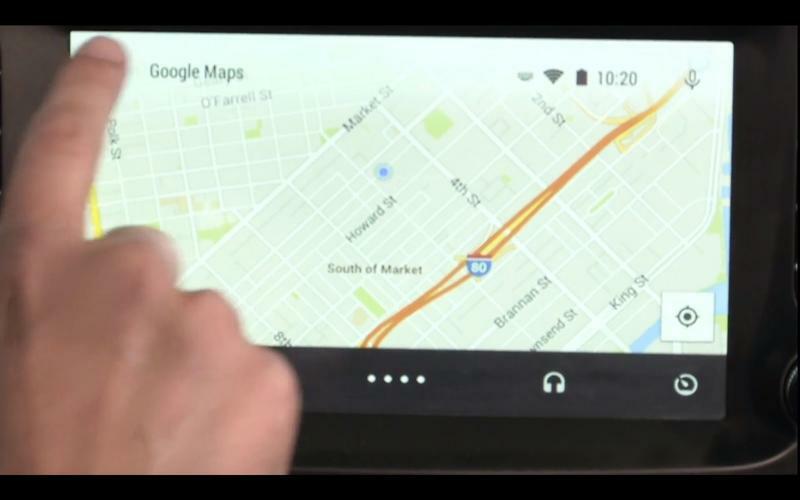 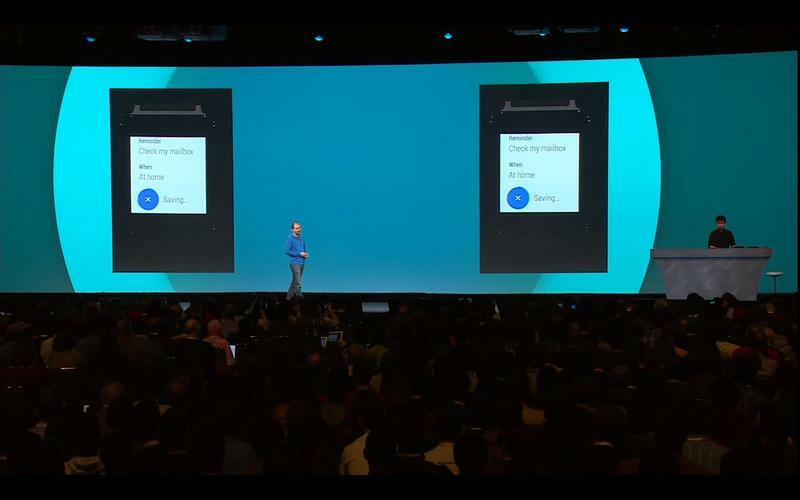 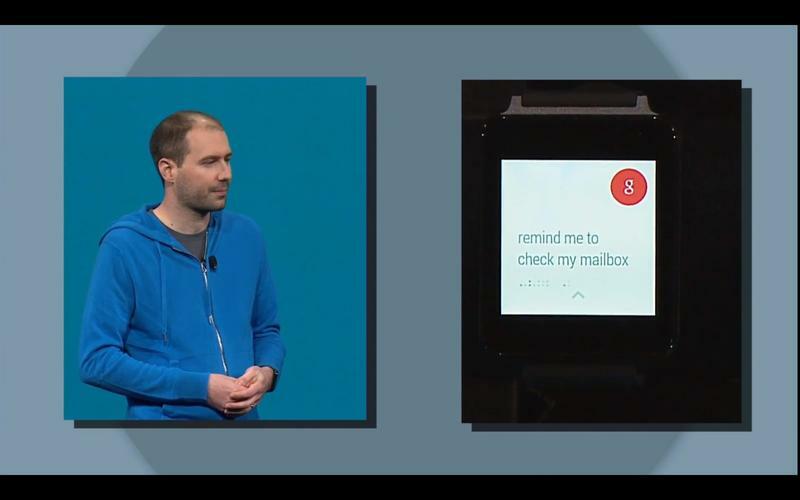 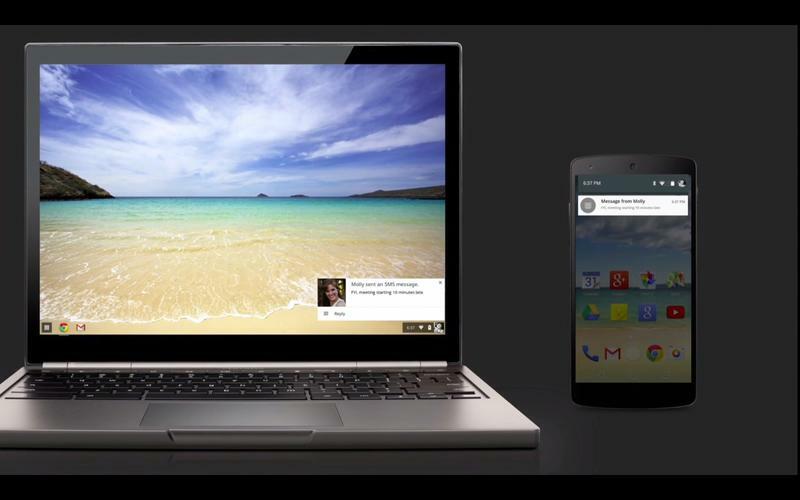 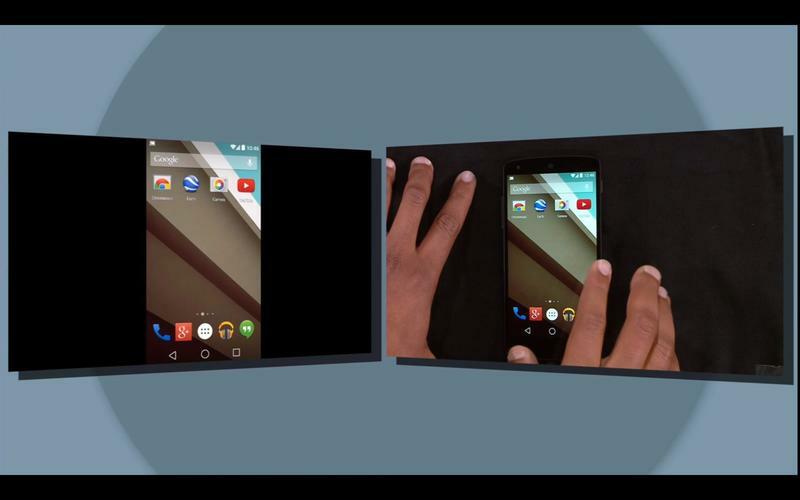 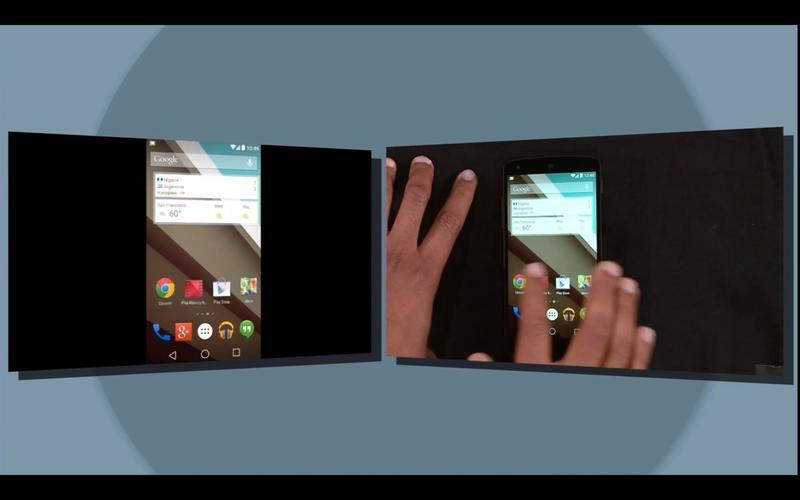 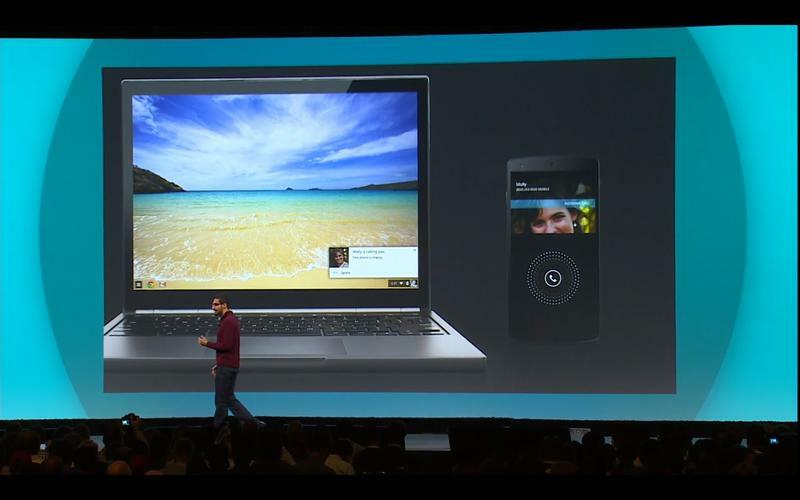 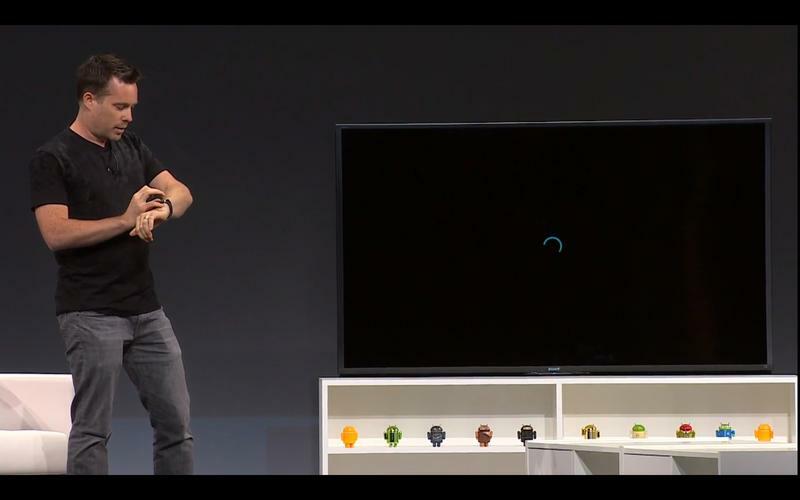 Google discussed the Chromecast briefly during Google I/O 2014. 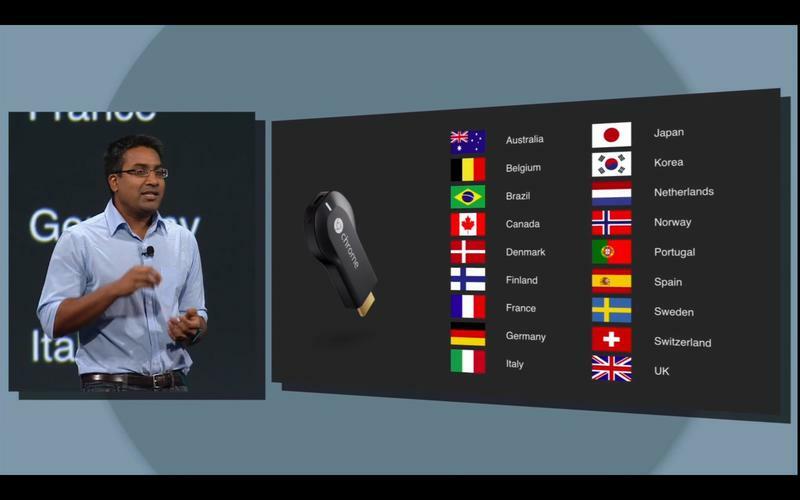 The company didn’t announce a new dongle or anything particularly major, but it did announce some nice touches that are coming soon. 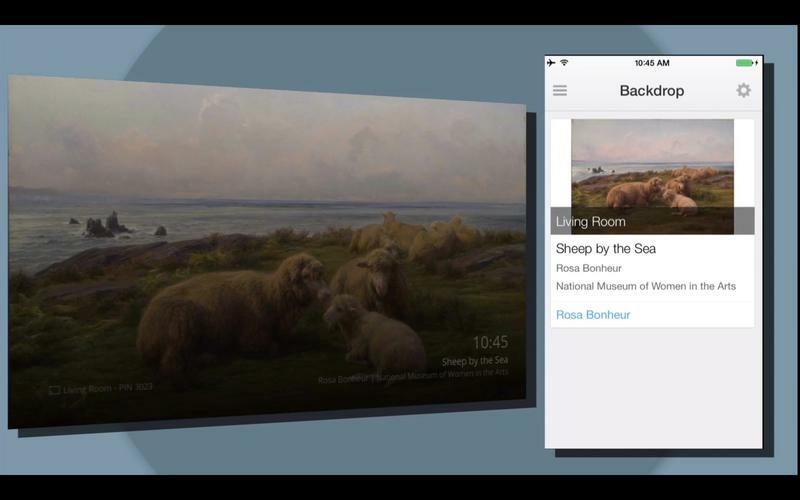 One key change is the addition of “Backdrop,” which now lets you view the weather, news, set your own photos for the background, and even tap into famous paintings and art from museums around the world. 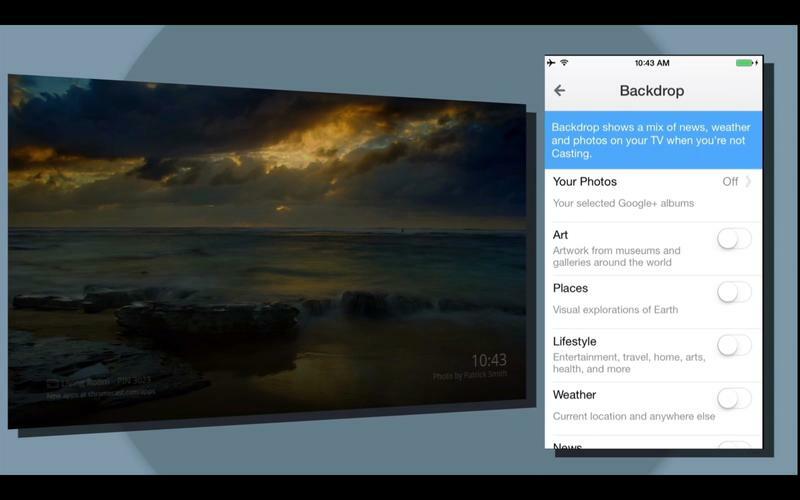 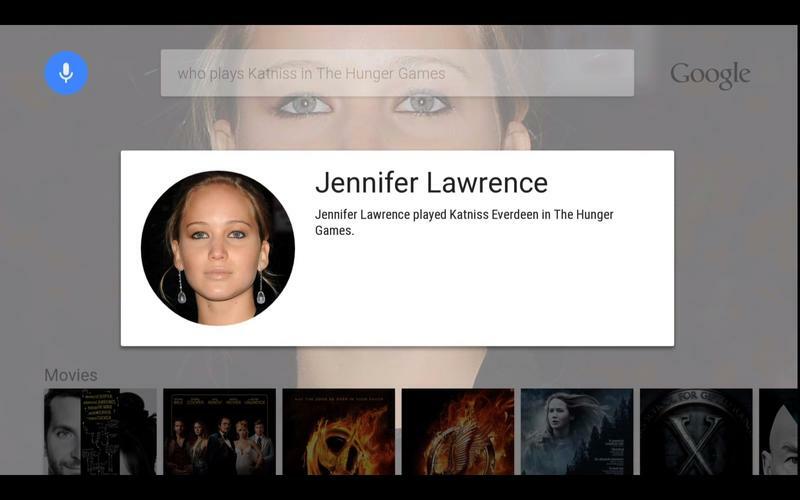 This feature should be ready and available for Chromecast owners by this fall. 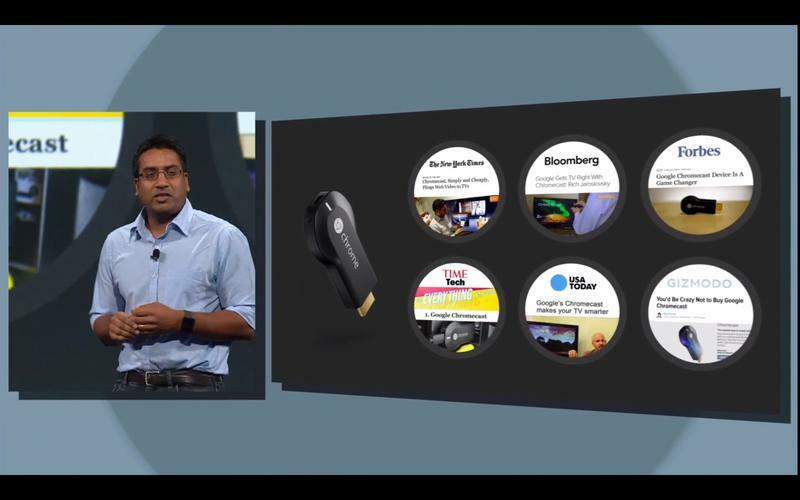 Google also announced that it’s working on device mirroring with the Chromecast, so you can show your full screen on a TV without being in a specific application. 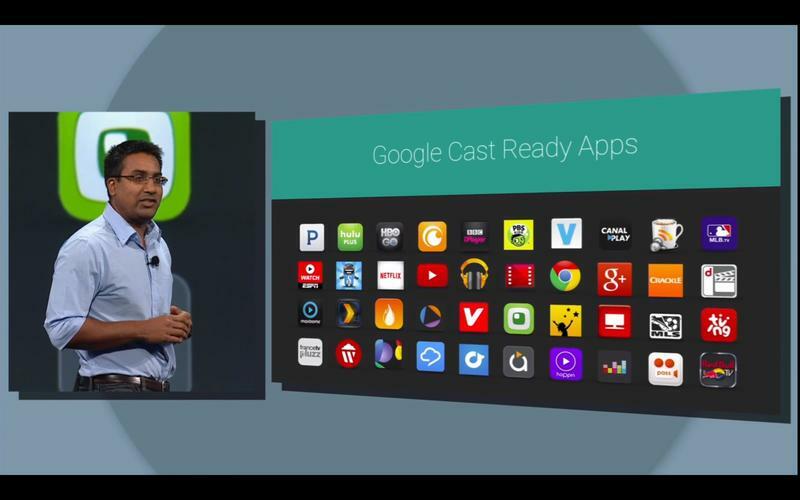 This seems like it could open up some unique gaming opportunities, and could allow you to cast everything, even apps that don’t offer full support for “Google Casting.” The company didn’t provide a timeframe for when we can expect this, however. 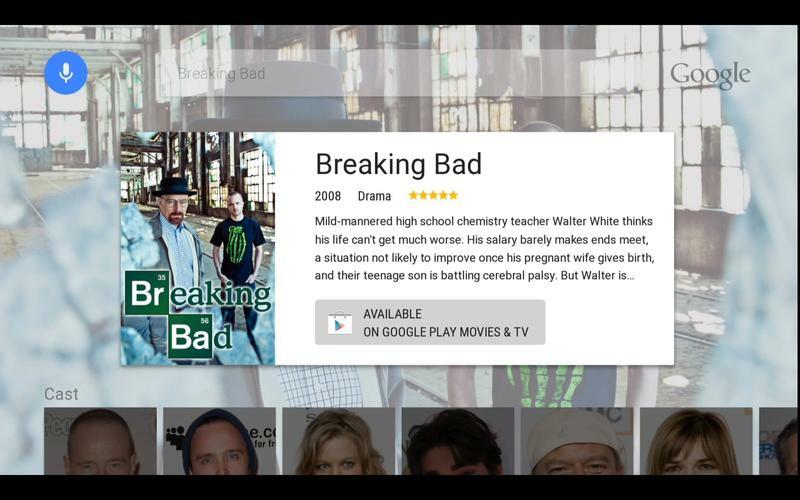 Another cool feature coming to Chromecast users is the ability to stream to TVs even when you’re not on the same Wi-Fi network. 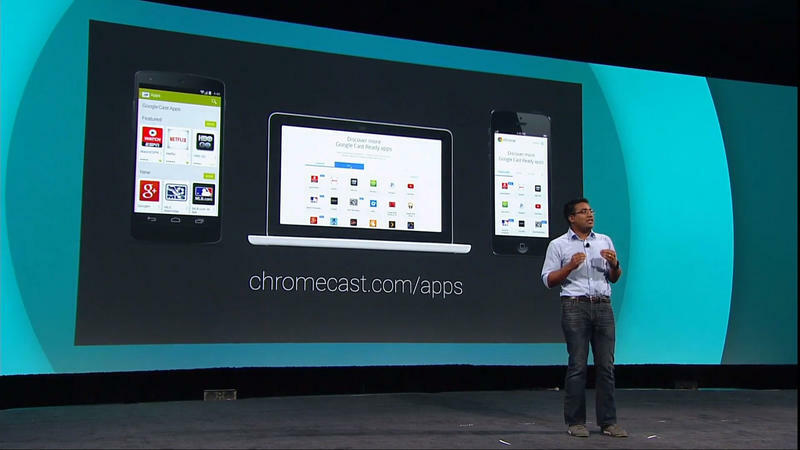 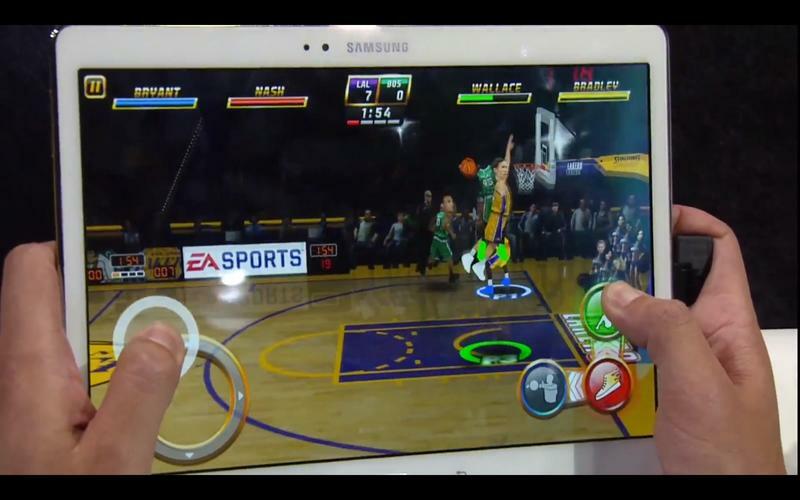 If activated by the owner of the Chromecast, anyone with a smartphone set-up to use a Chromecast can stream content. 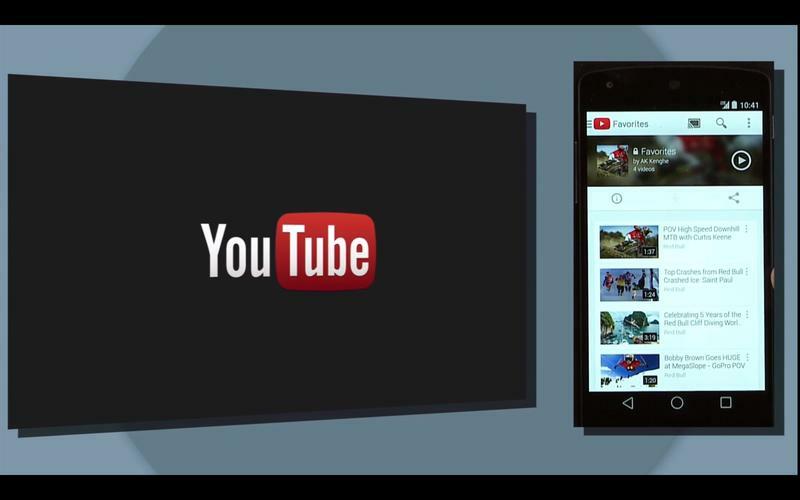 Just imagine the sort of chaos this could create in a room full of people trying to share YouTube videos. 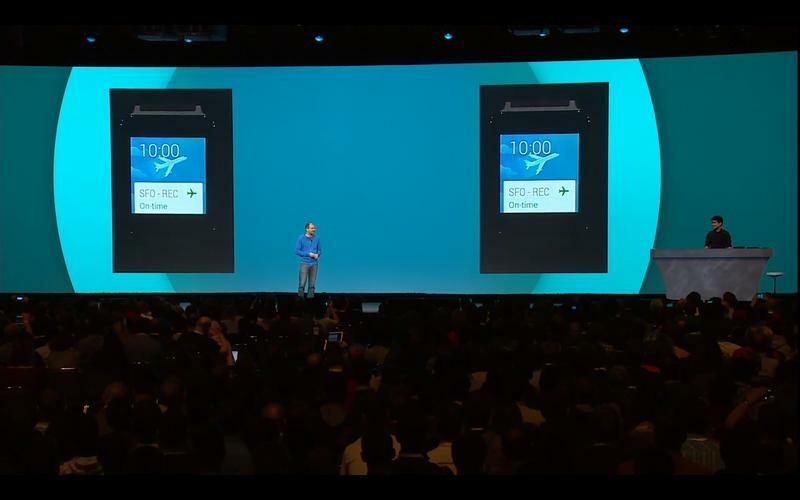 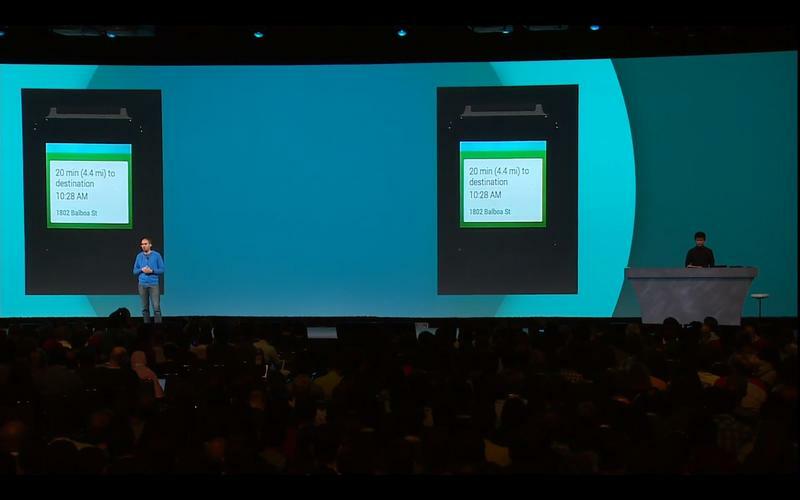 Google is also dipping its toes in the health monitoring market. 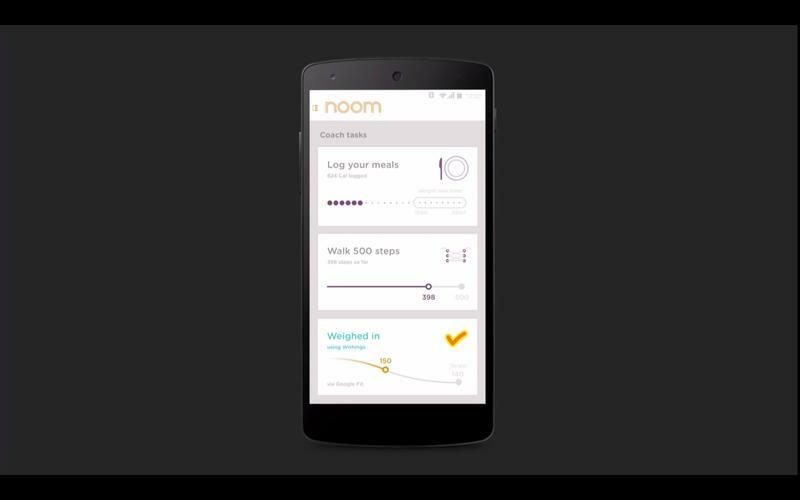 The company announced its new Google Fit platform on Wednesday that, for now anyway, appears to be its answer to Apple’s HealthKit. 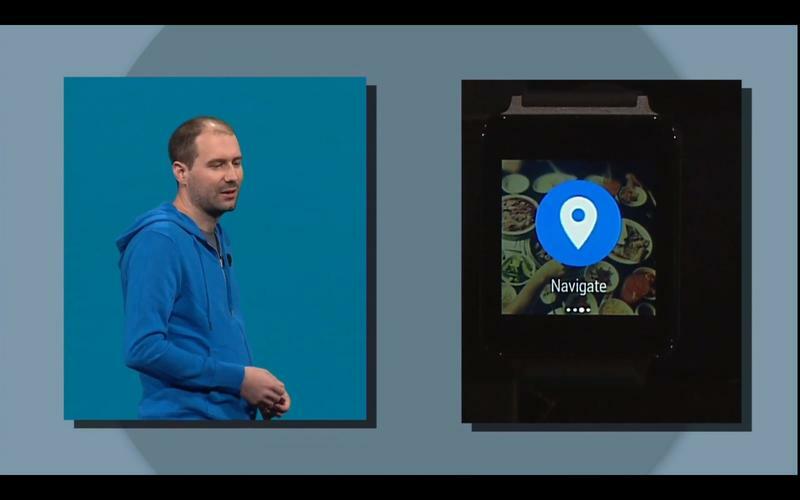 It will provide developers with a set of APIs that will allow them to create apps that can manage all sorts of other fitness tracking applications, sensors, wearable devices and more. 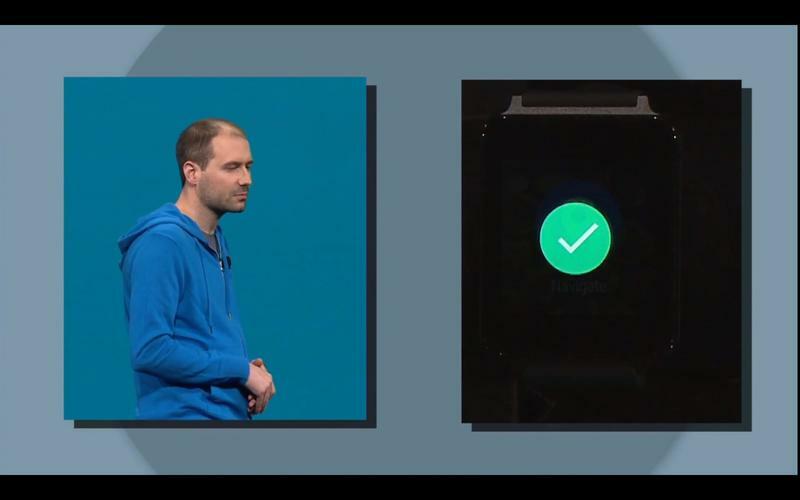 Nike and Adidas have already signed up to work with Google Fit, and apps that use the platform will be able to tap into Nike’s “Fuel” metric. 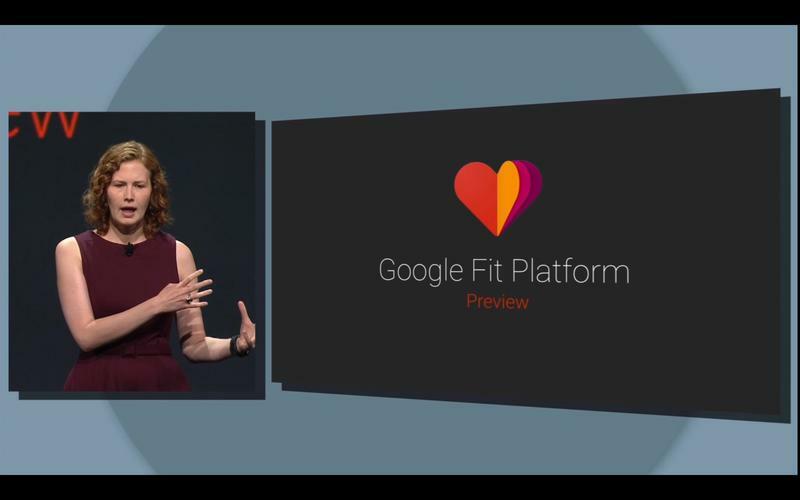 Google says it will launch its Google Fit SDK in the coming weeks, but didn’t provide a firm date when consumers will be able to use the platform. 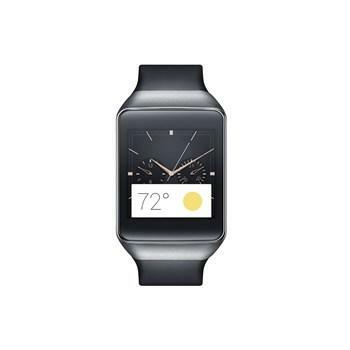 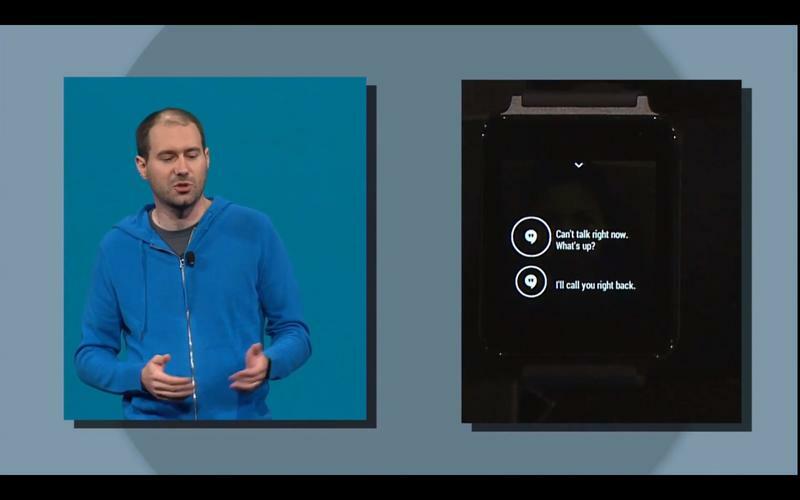 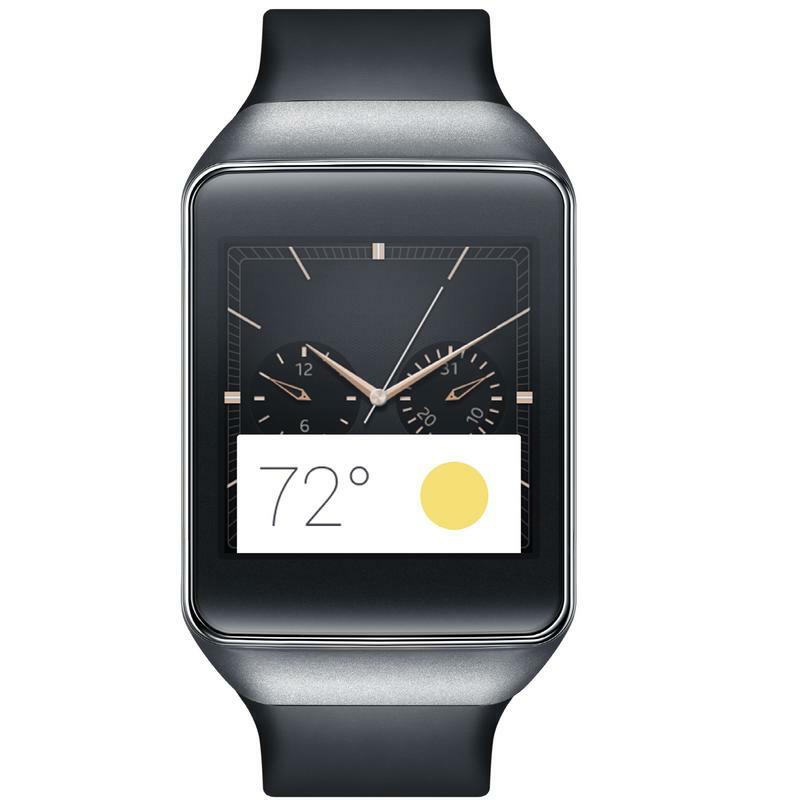 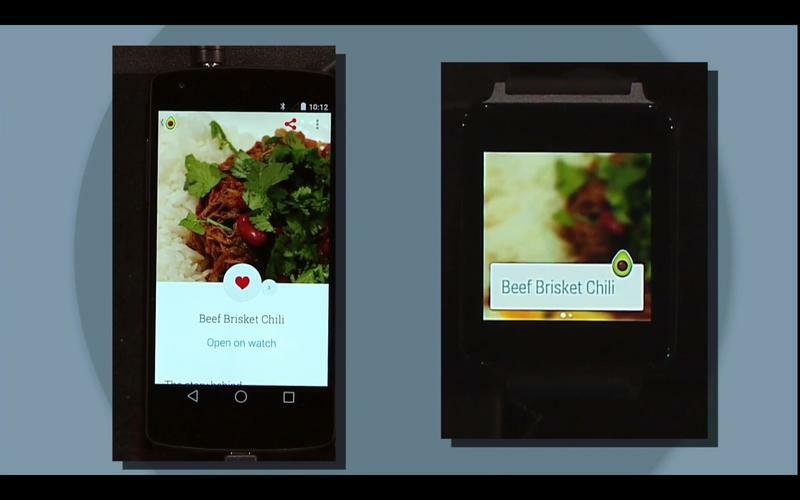 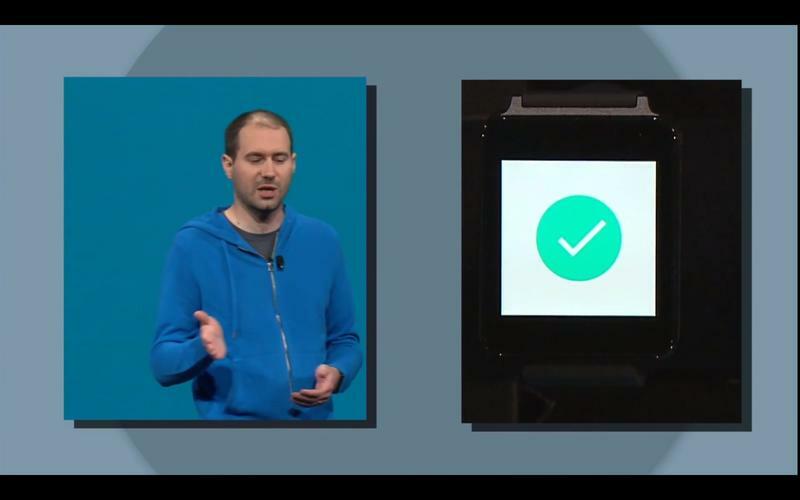 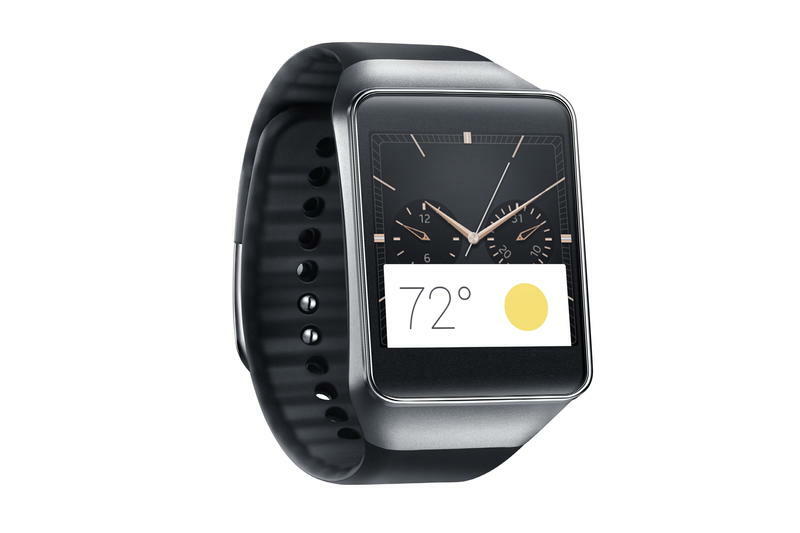 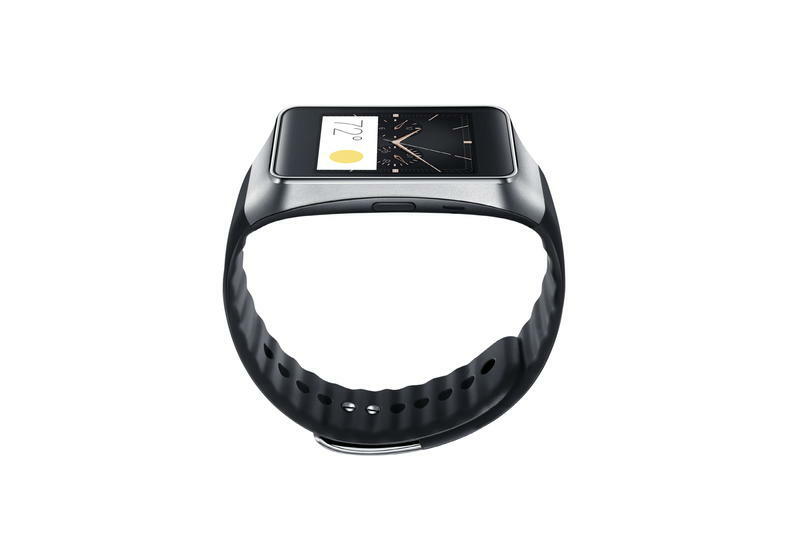 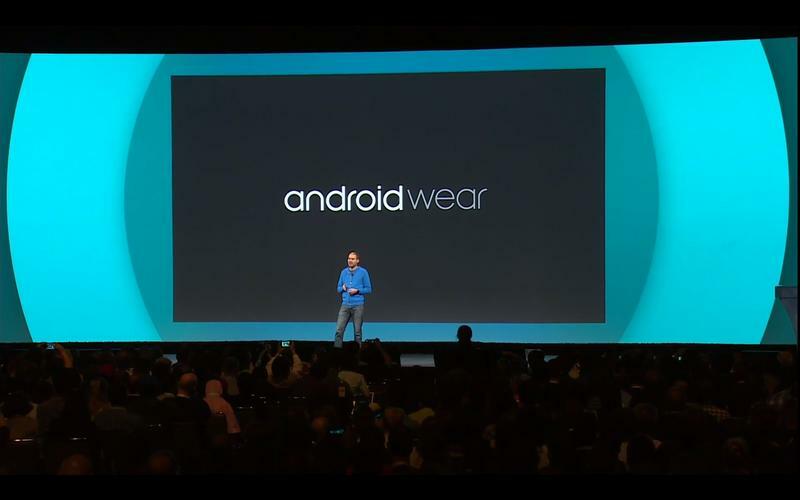 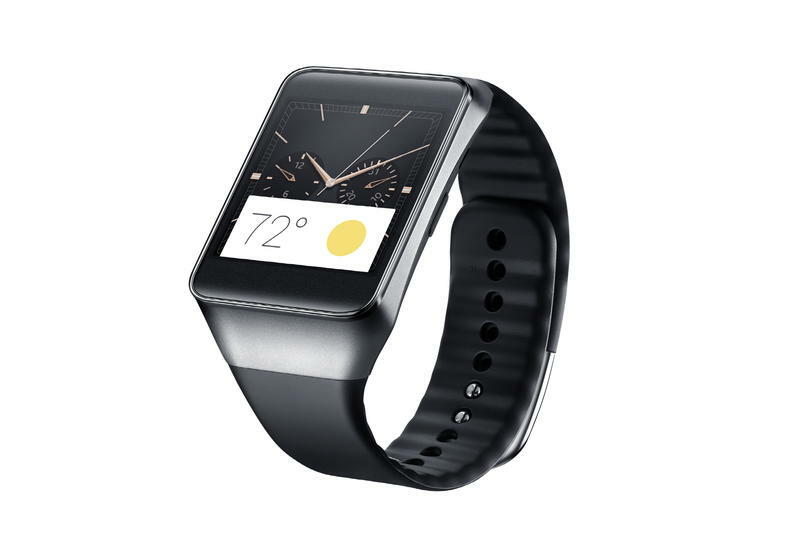 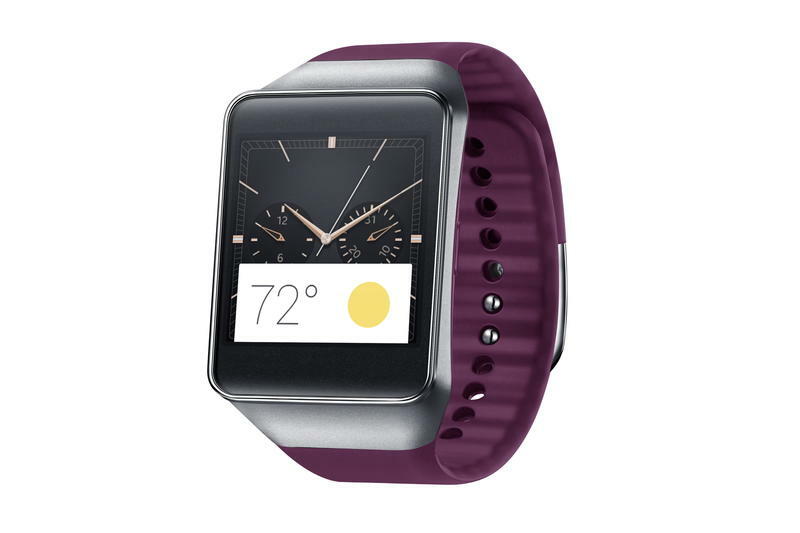 Android Wear was announced back in March, when Apple released an early SDK for its wearable platform. 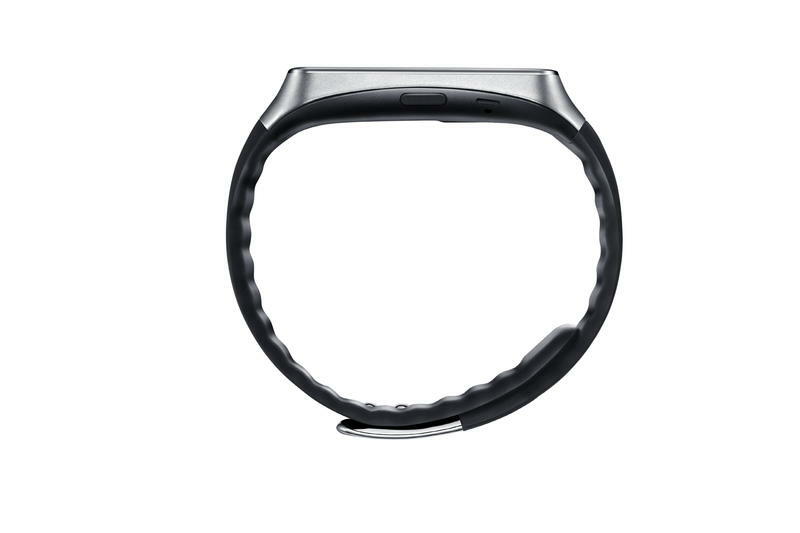 Today we learned about a brand new device called the Samsung Gear Live, Samsung’s Android Wear offering, and that the G Watch and Gear Live will start shipping soon. 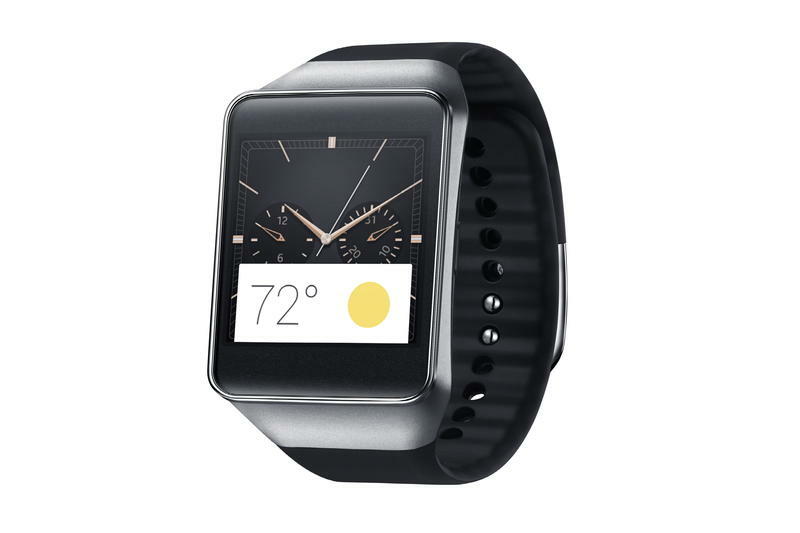 Pre-orders for both devices start today, and the Gear Live will ship by July 7. 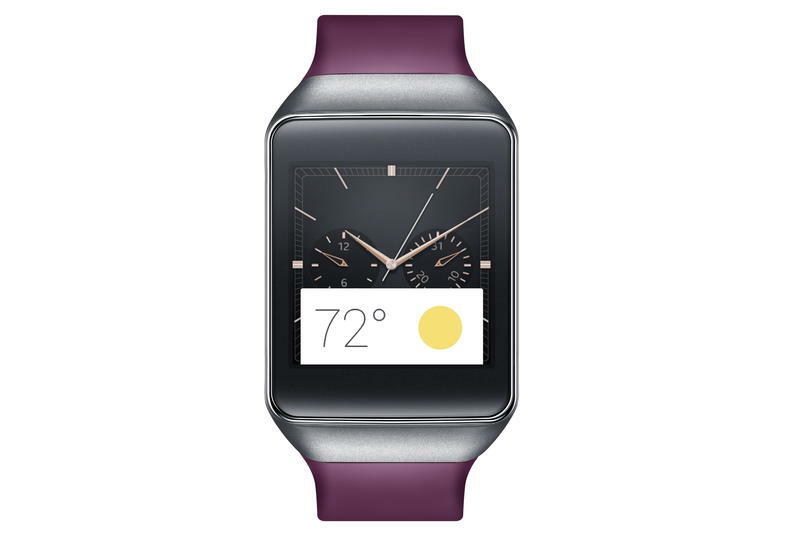 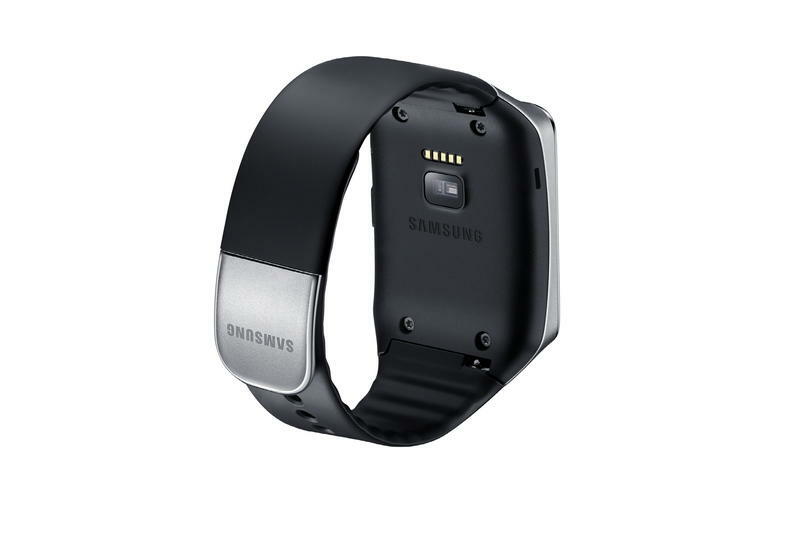 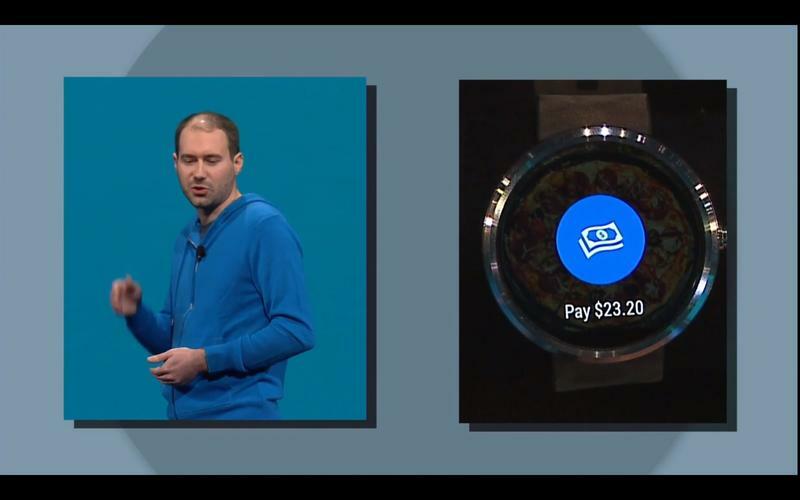 It’s priced at $199.99, though so far we don’t yet know how much the G Watch will cost or when it will start shipping. 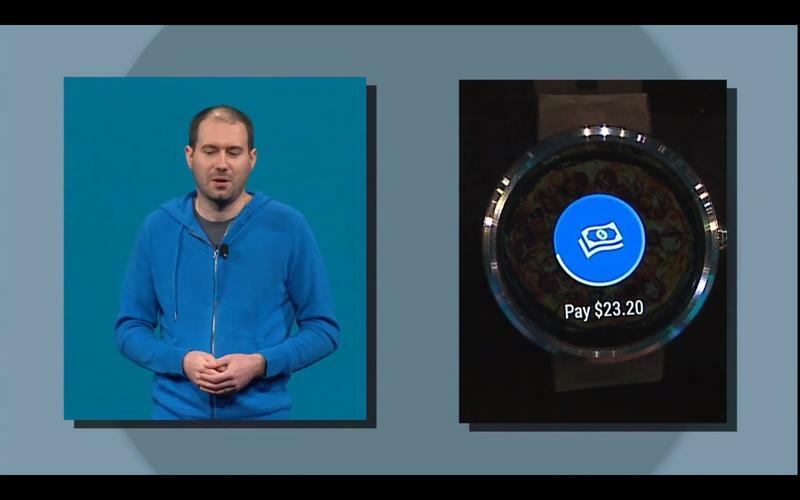 Meanwhile, the Moto 360 was worn by several Google executives up on stage, though the company didn’t provide a firm launch date or price for the more premium looking Android Wear product. 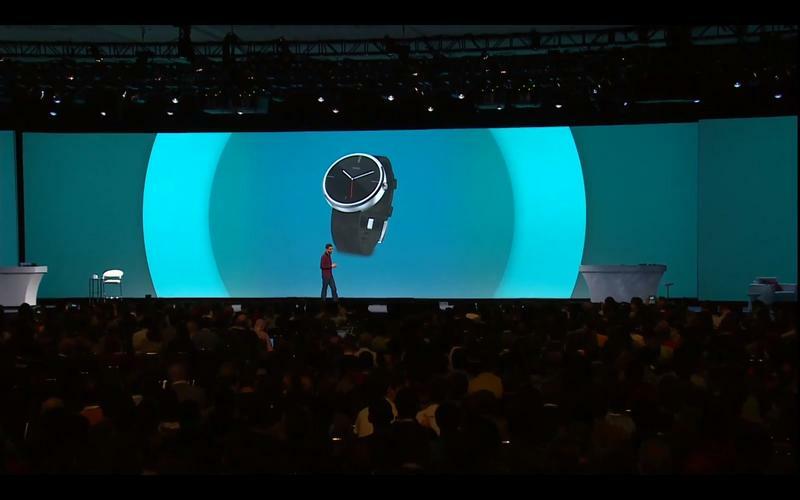 It did say, however, that the Moto 360 will be available later this summer for consumer purchase. 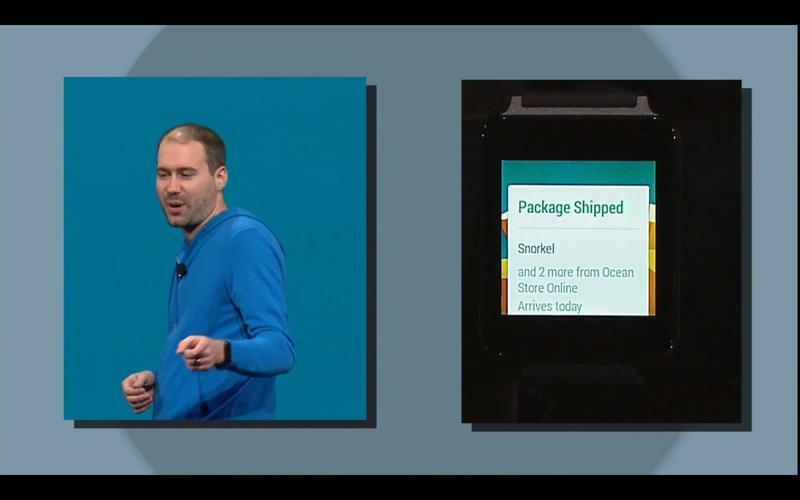 All of the Android Wear products are being sold direct from Google, and while features differ across them, all are water resistant. 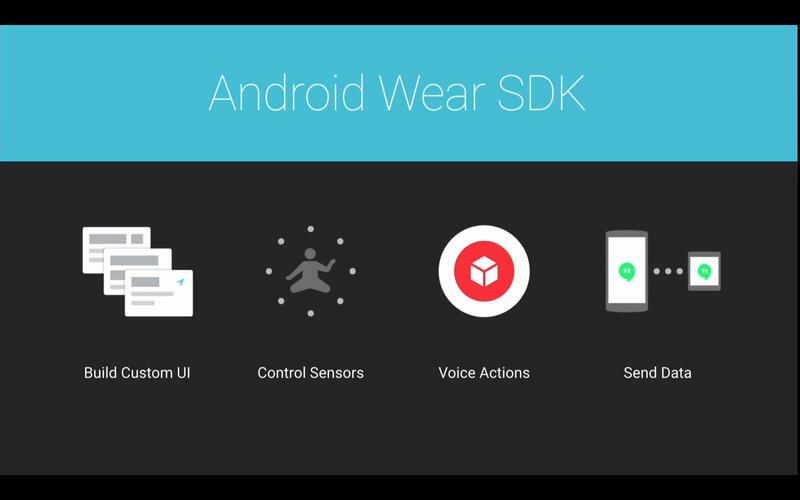 Also, the full Android Wear SDK will be rolling out to developers soon, so you can expect even more fully featured apps in the near future. 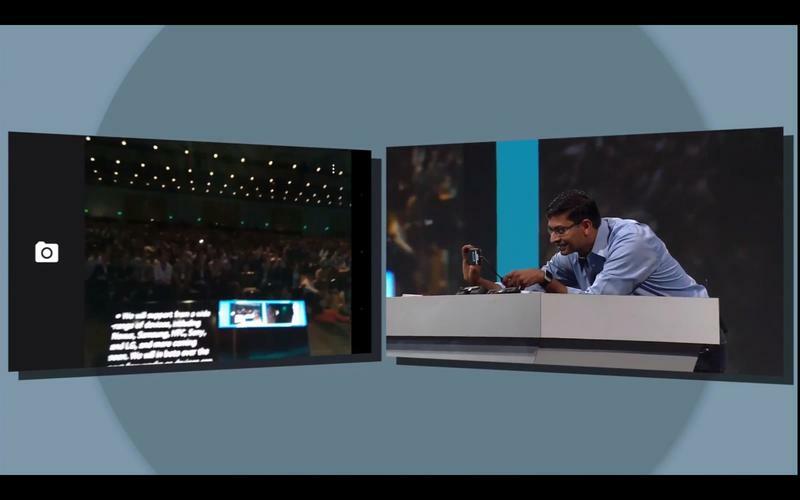 There was a lot to take in during the Google I/O 2014 keynote, and the company probably could have milked some of the announcements out over a couple of days. 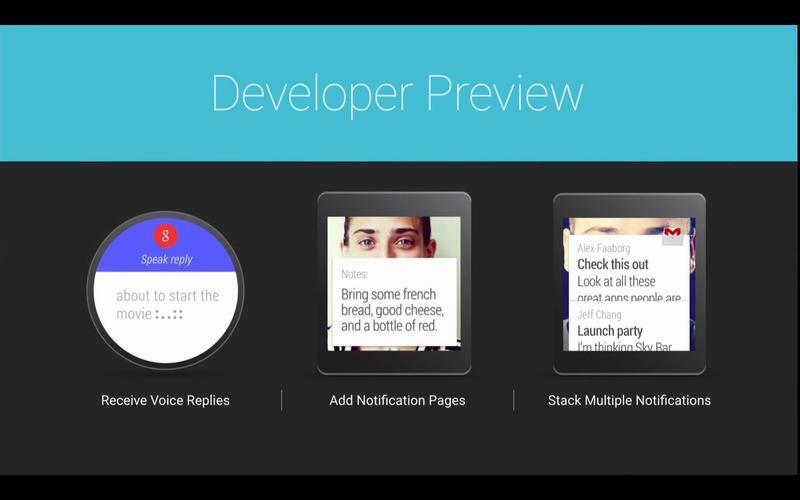 Android L, the developer preview, will be a huge focus for the mobile community over the coming months, particularly as iOS 8 advances through its beta stages for release this fall, too. 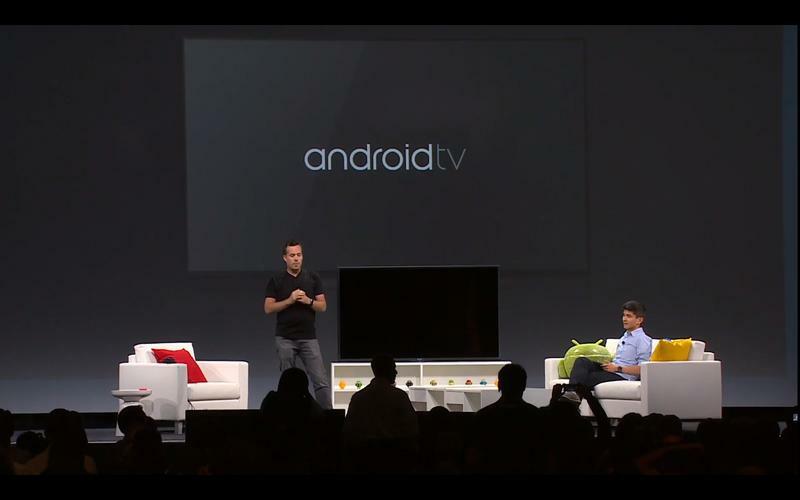 Android TV is compelling, and we have some video footage that we’ll be sharing with you soon in addition to coverage of the new Android Wear products. 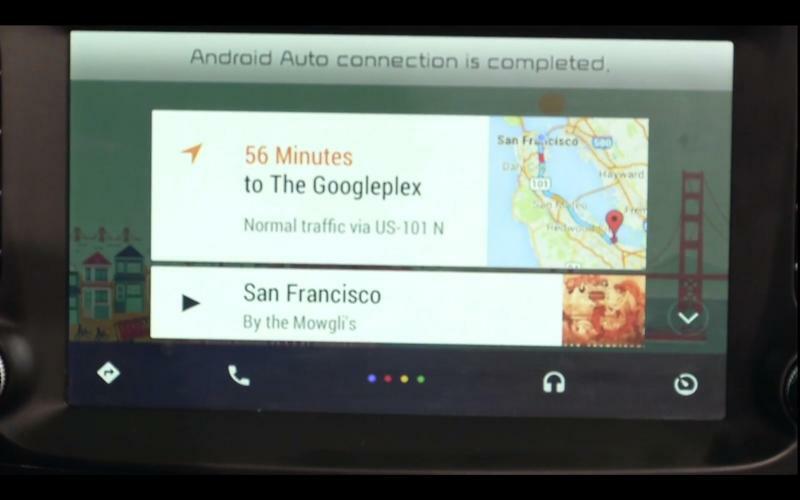 Soon we’ll see Android make its way into new territories, too, especially through Android Auto. 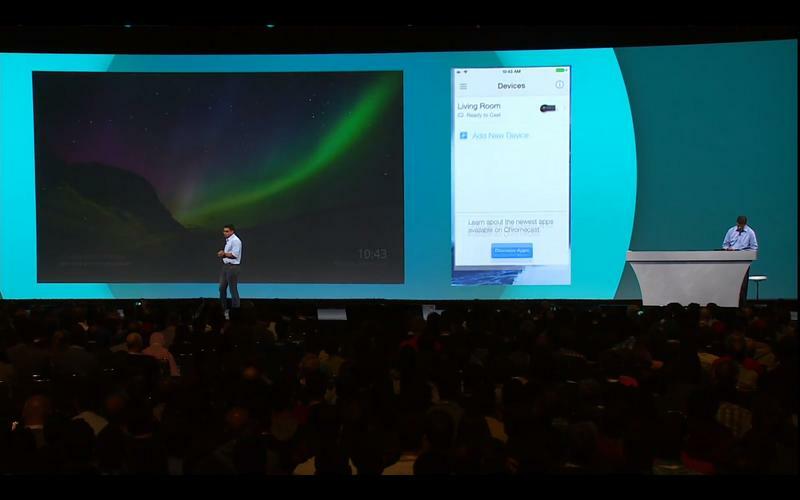 Google definitely set the stage for an exciting new Android launch that will tie the operating system tighter into our lives — well, at least the lives of Android users — and we’re excited to see how it all pans out.